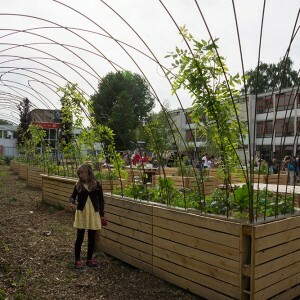 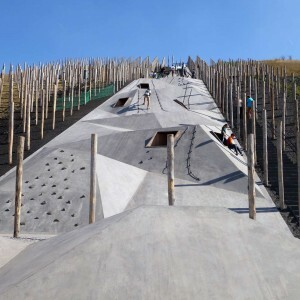 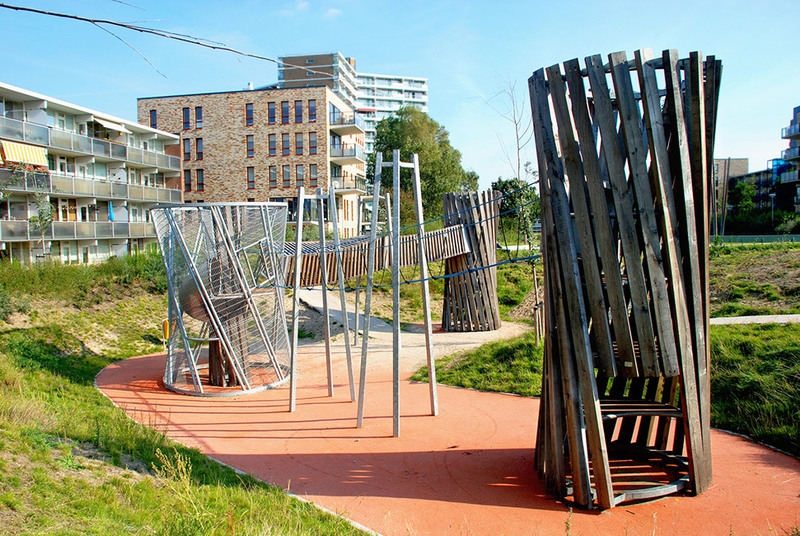 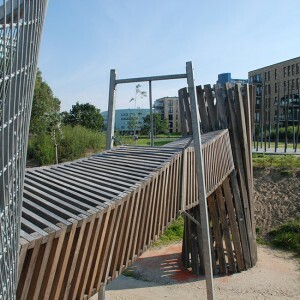 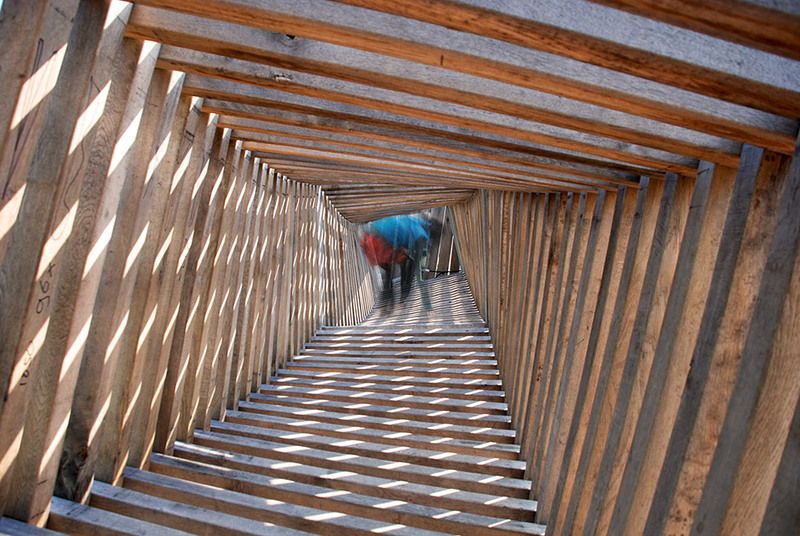 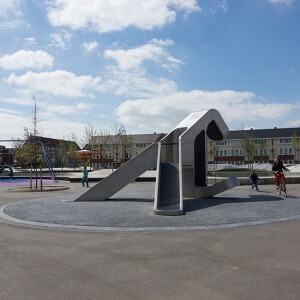 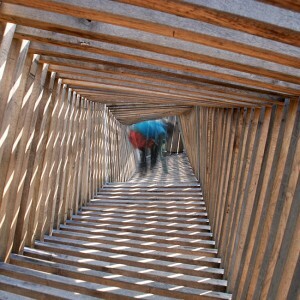 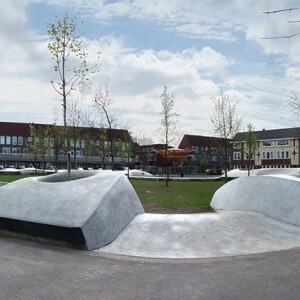 Carve is a design and engineering bureau that focuses on the planning and development of public space, particularly for use by children and young people. 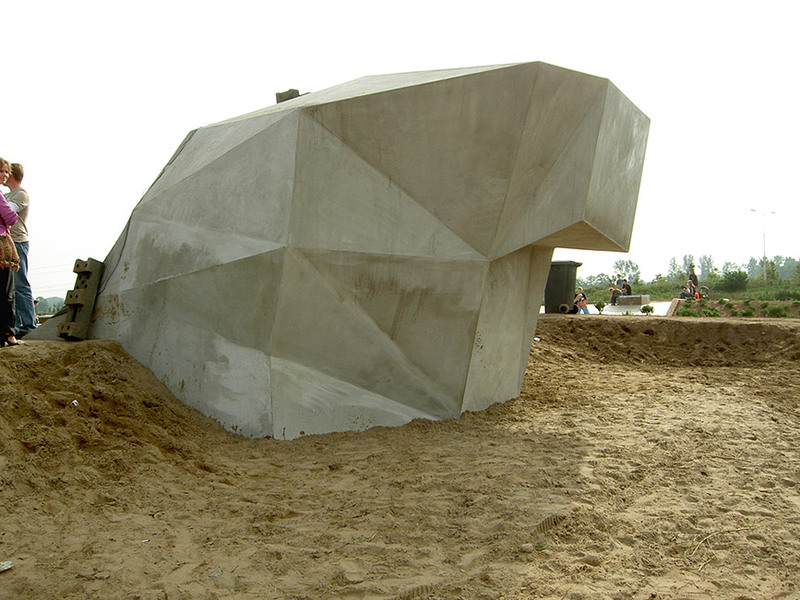 The office was set up in 1997 by Elger Blitz and Mark van der Eng. 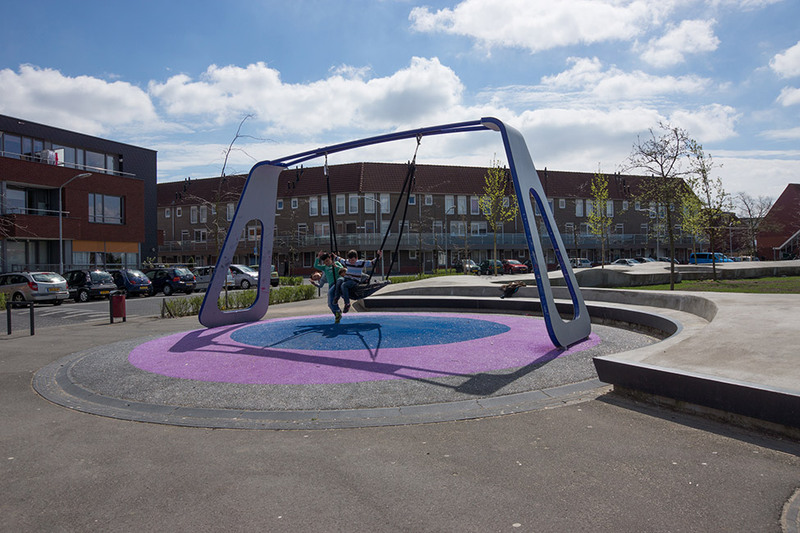 Carve’s clients are local governments, developers, manufacturers of playground equipment, architects and landscape architects. 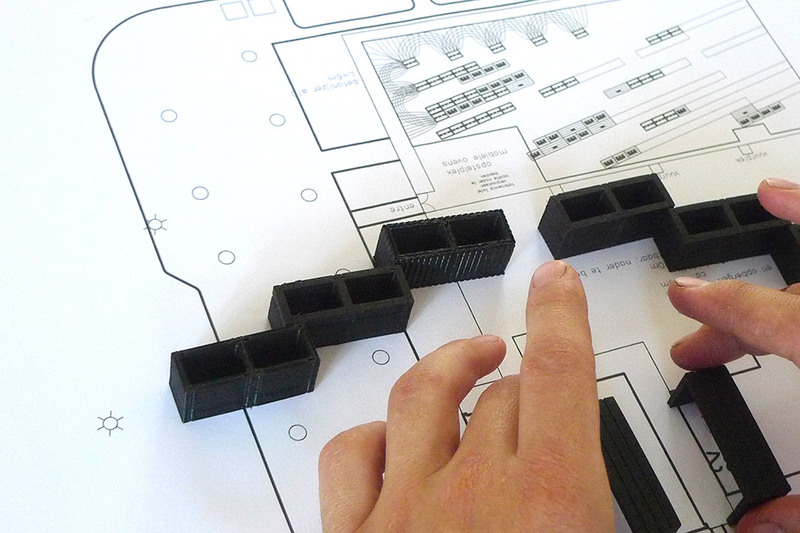 In our plans we incorporate intended and possible users and ‘playable’ functions. 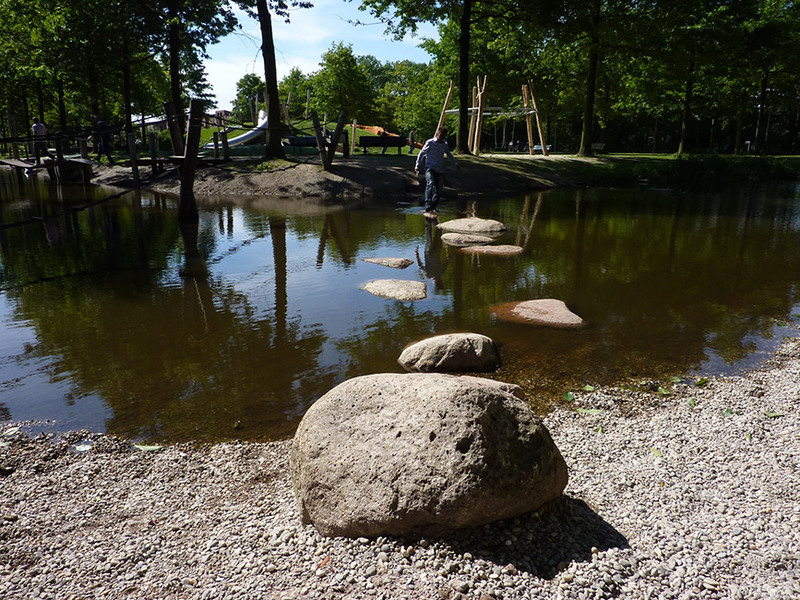 In examining these possibilities we do look for the overlap in functions, through ages and user-groups. 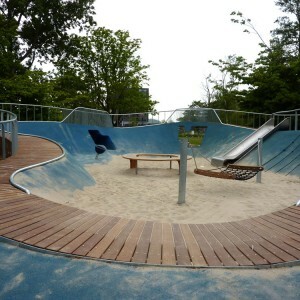 The outcome of this provides a firm basis. 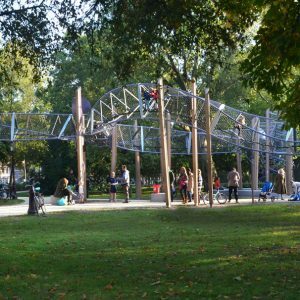 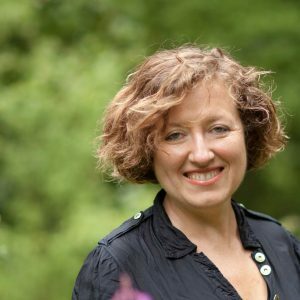 By playing out preconceptions about play and the strict ‘locating’ of different age groups we like to keep some space free as well, to be filled in by the users. 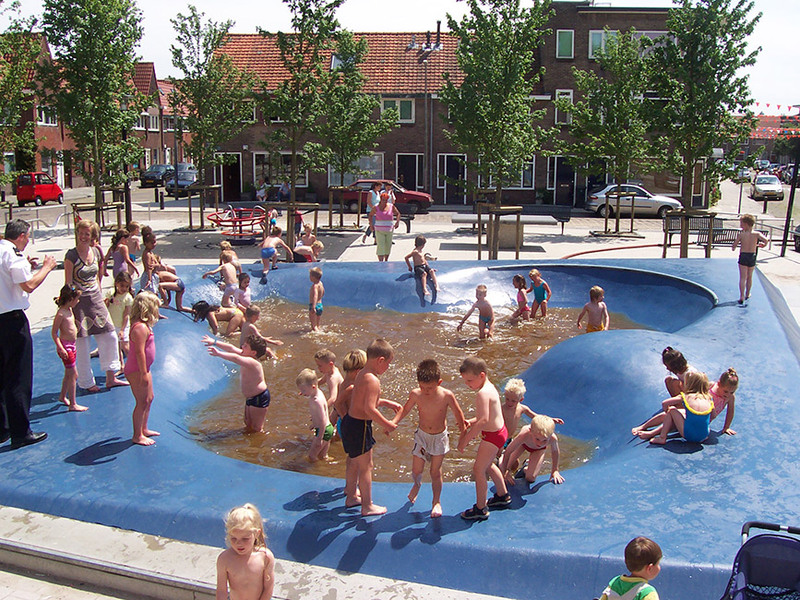 Similarities can enhance the playability for all groups and ages and the attractiveness of the place as a whole. 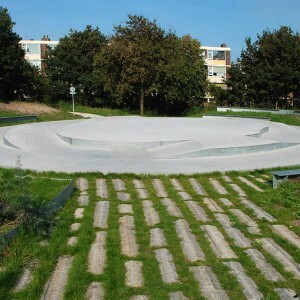 A skate-course can indeed make a marvellous track for four-year-olds on their bikes on a Sunday morning. 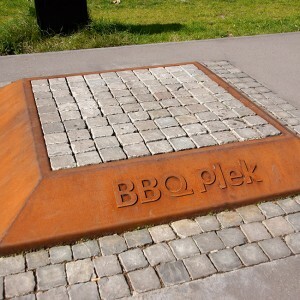 Just take another time-slot. 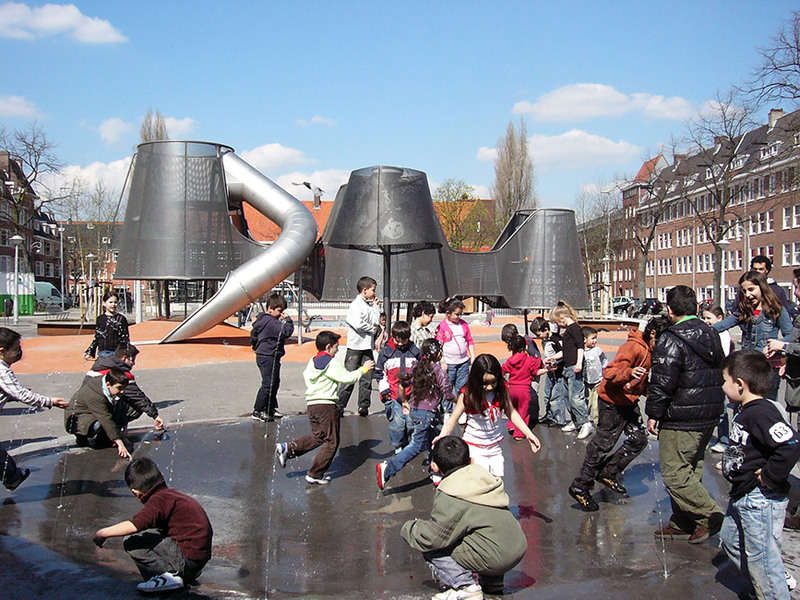 So instead of making use of archetypical playground-equipment, tending to be pretty directive on what to do and how to play, we prefer to work with more general objects, playable landscapes or multi-usable interventions. 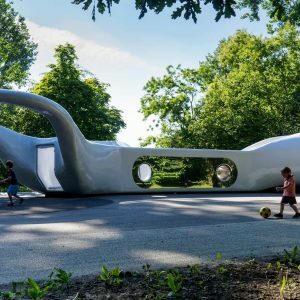 Of course Carve does design from the perspective of certain age groups and functions, but is always striving to leave room for the initiative of users themselves and to facilitate the unexpected. 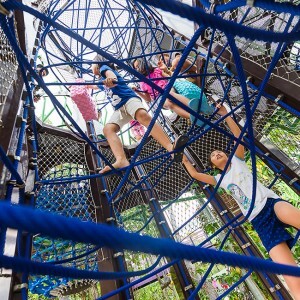 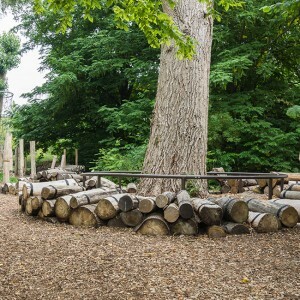 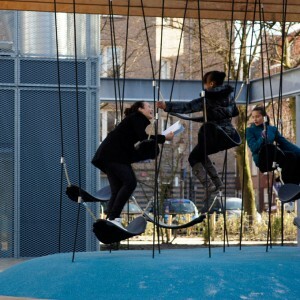 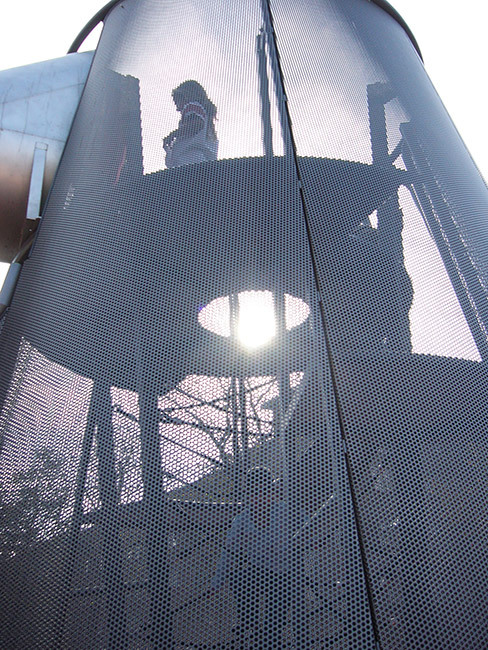 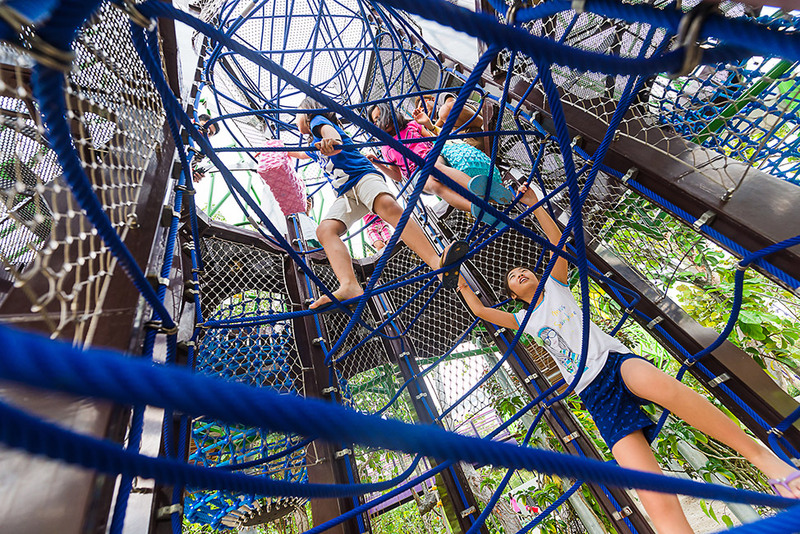 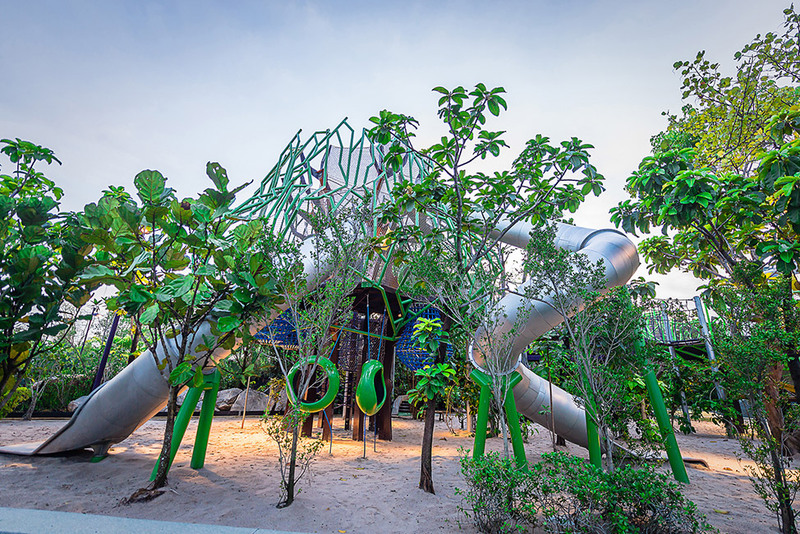 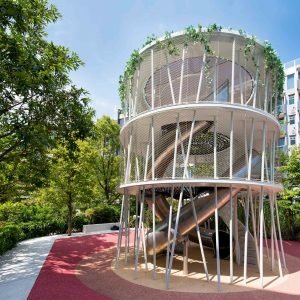 To provide the playable foundation for kids to explore, where adults are un-childishly invited to participate, the playground can become a meeting place for the whole community. 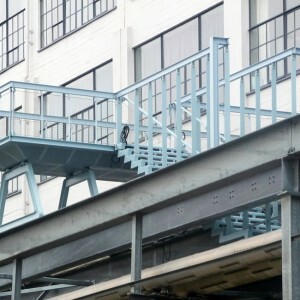 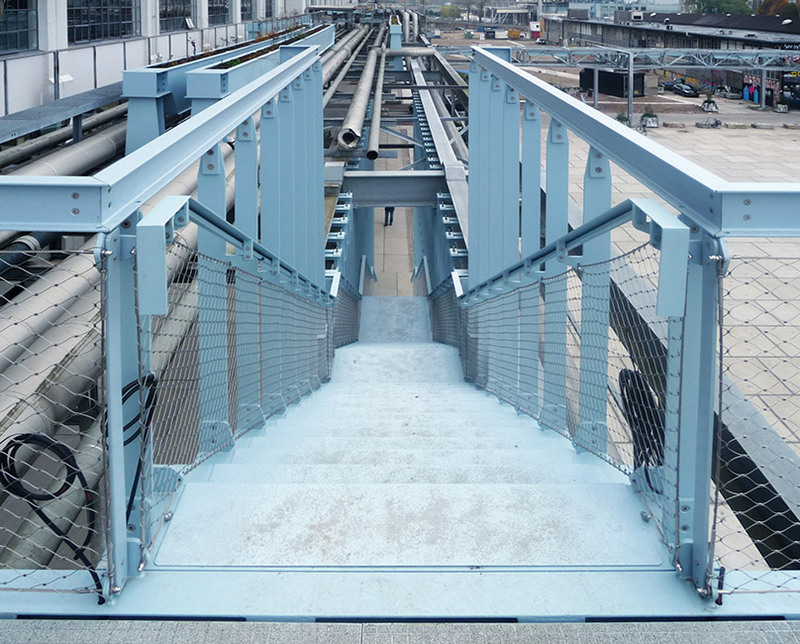 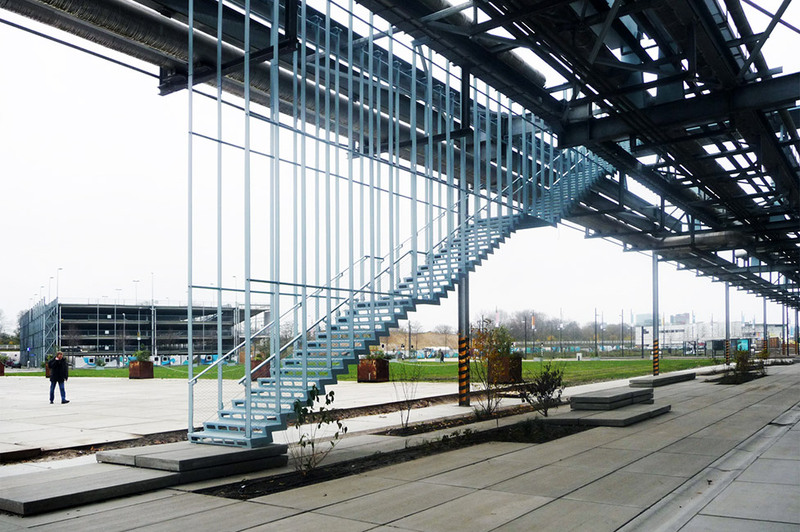 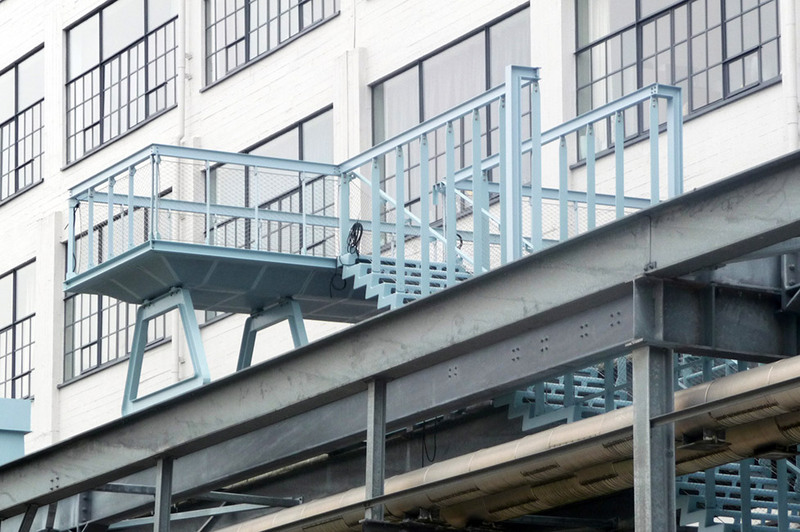 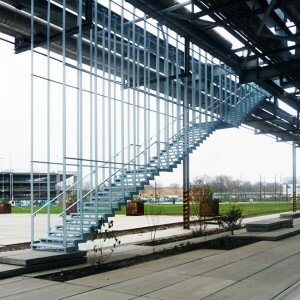 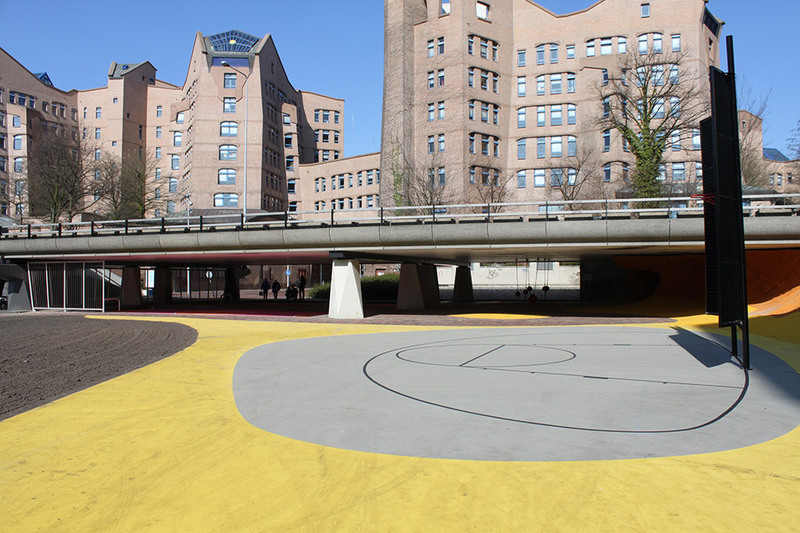 In the footsteps of and in the best Dutch tradition, as initiated by 20th century architect and urbanist Aldo van Eyck, although radically different in its urban positioning and implications. 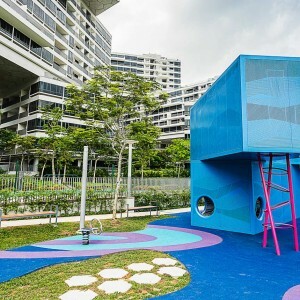 Sharing the focus on local initiative and community, far outstretching the relevance of space (to play) for children, play can be the cheerful development of physical and social skills. 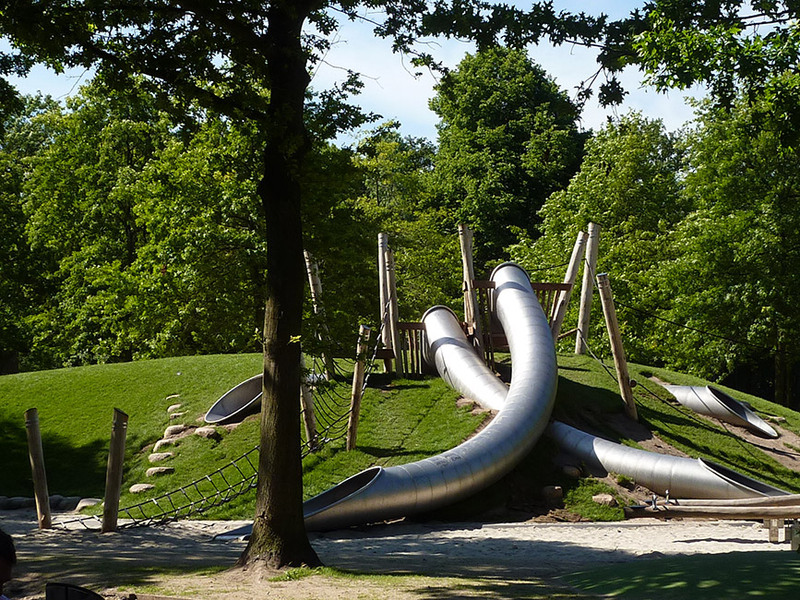 In that sense ‘play’ is a necessity for children to grow up – but play isn’t limited to any age. 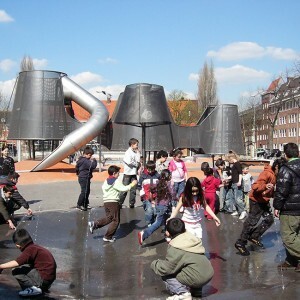 Playfully preparing and mastering skills forms an argument for the mingling of different ages and groups, providing them with a space alongside each other – and to create their own community. 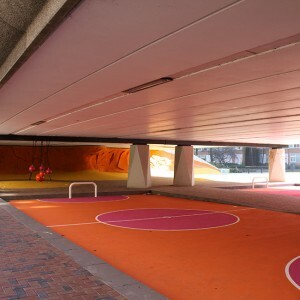 Therefore we strive to combine groups in areas in a logical lay-out eluding strict borders, making the ‘transition’ zones playable as well. 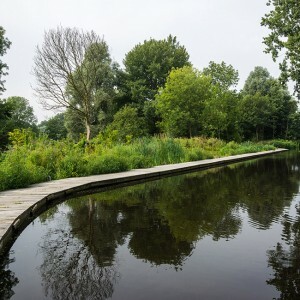 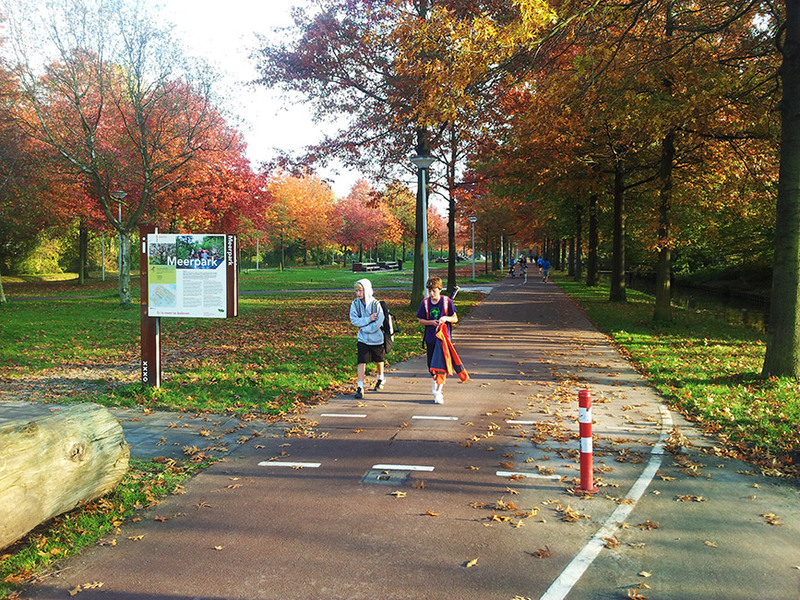 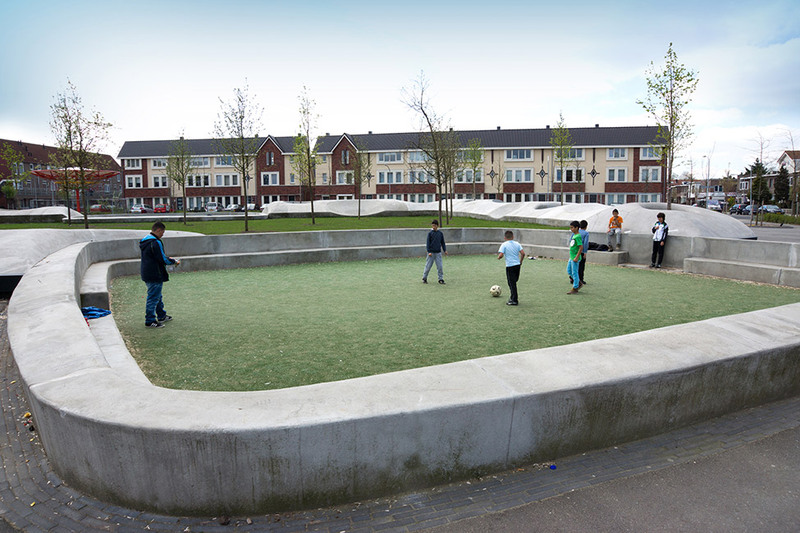 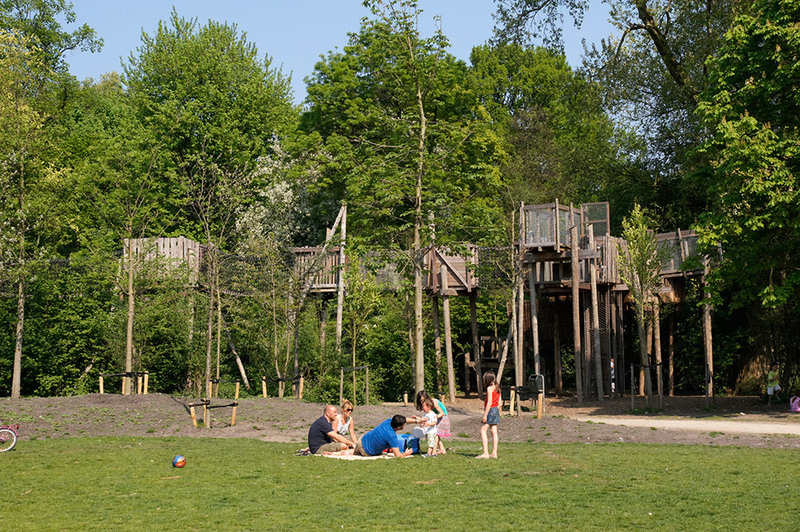 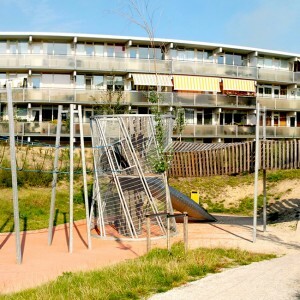 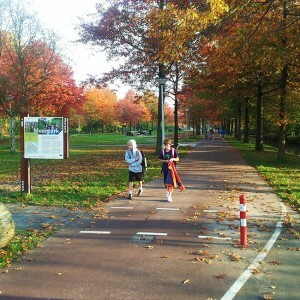 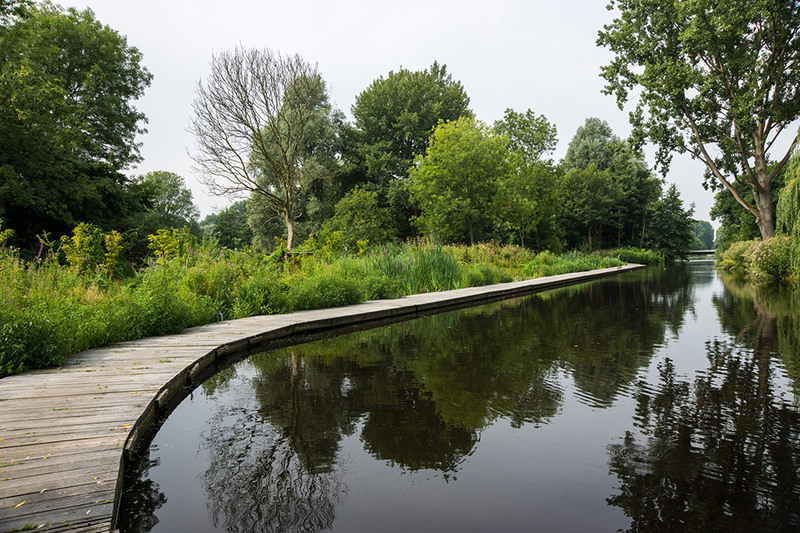 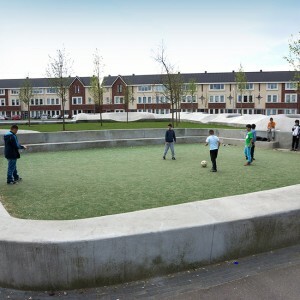 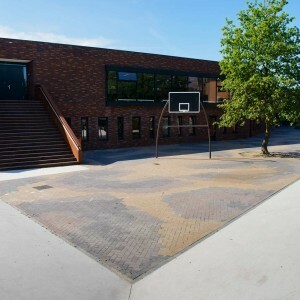 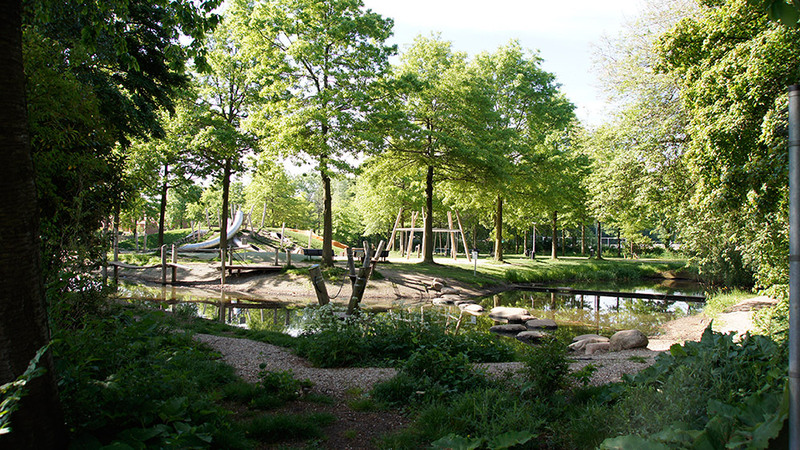 Sportspark ‘Middenmeer-Voorland’ is located in the eastern part of Amsterdam. 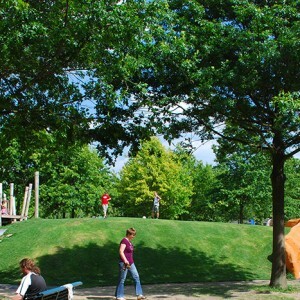 The densifying city puts a constant pressure on the park, which is besides a sportspark also an important ecological corridor. 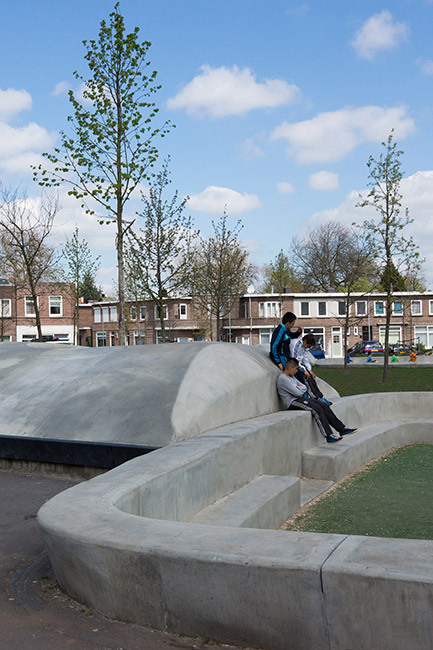 With a set of relatively simple interventions, Carve managed to unlock the park’s potential and transform it into a community park. 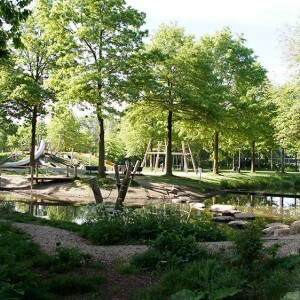 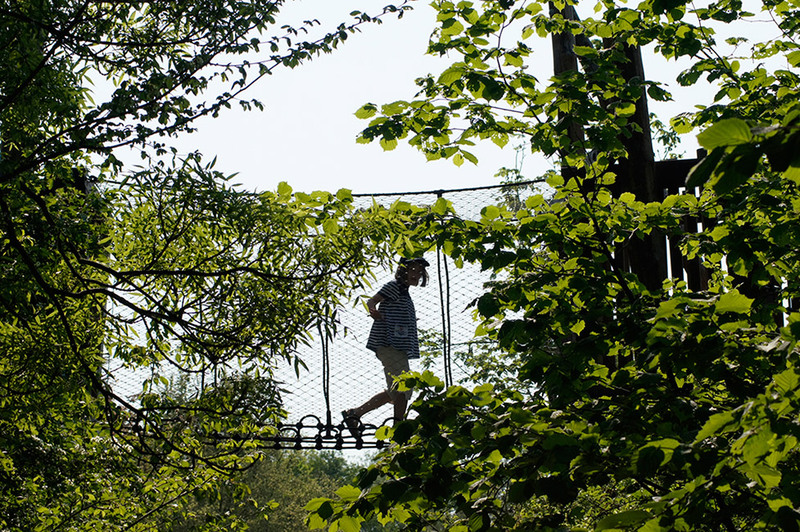 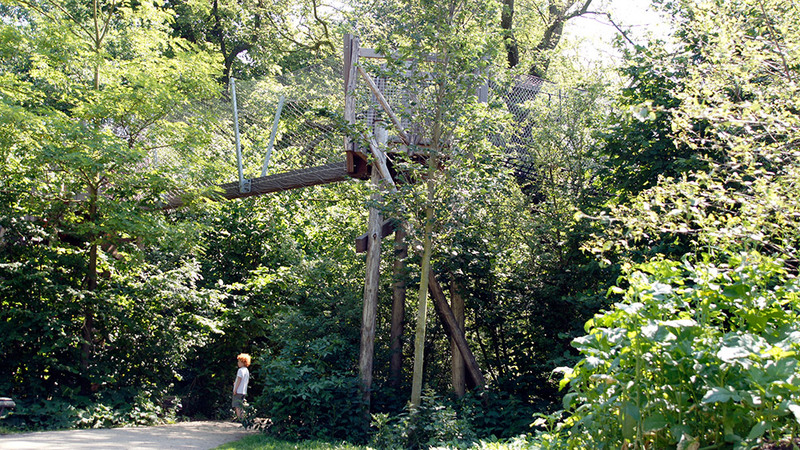 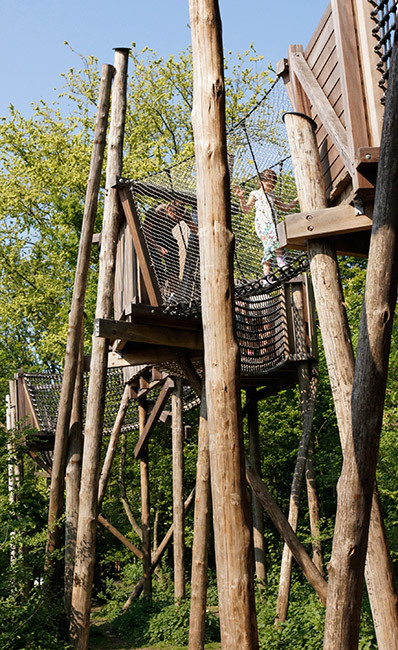 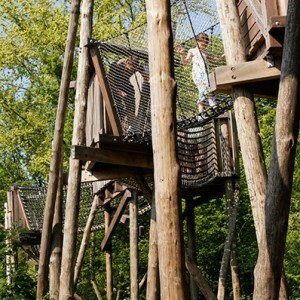 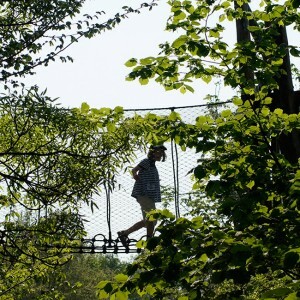 We have set up a system of nature walks, educational pathways, running-tracks and adventurous trails. 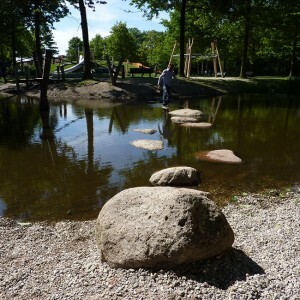 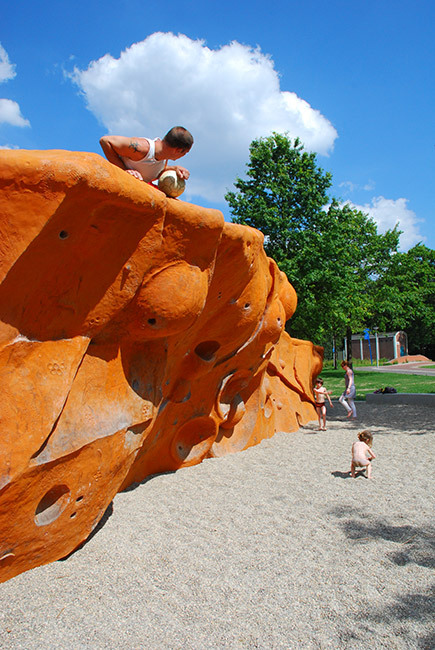 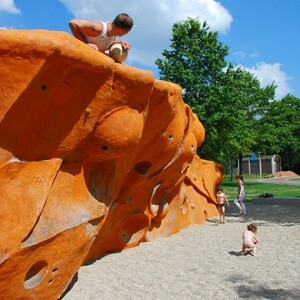 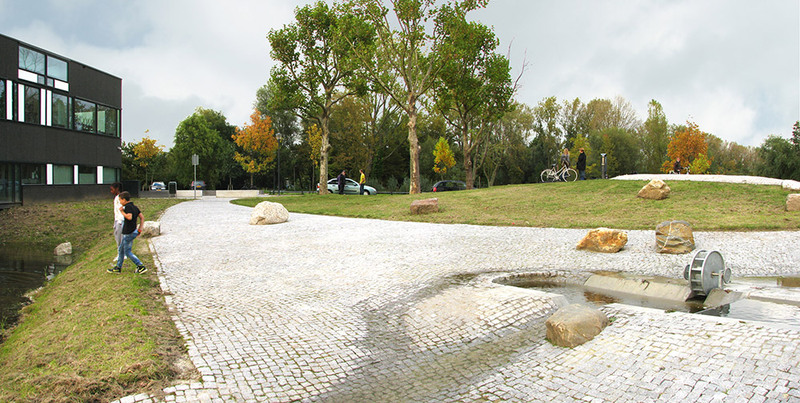 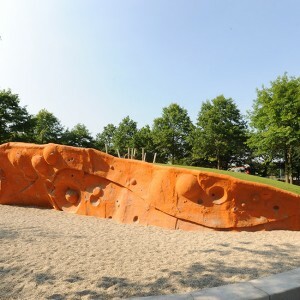 The central area contains a boulder wall, a natural playground and public picknick spots. 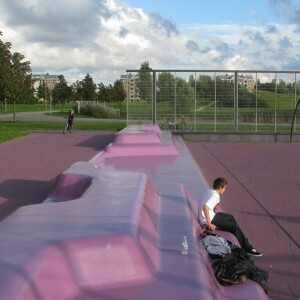 The formerly closed off sportsfields are now opened 24 hours a day, to be used by everyone. 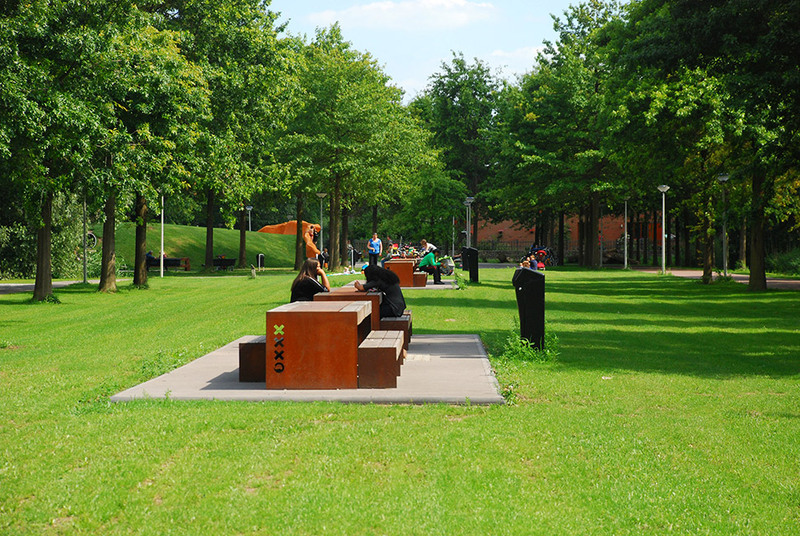 While the central strip first segregated the park into two parts, it now is the connecting zone for sports and all different kind of user groups exposing the community character of the park. 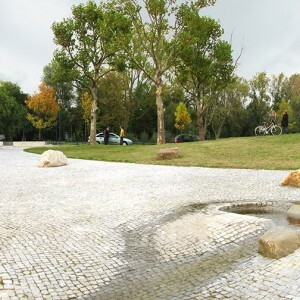 The surprising mix of functions makes this site one of the most visited parks of this area at this moment. 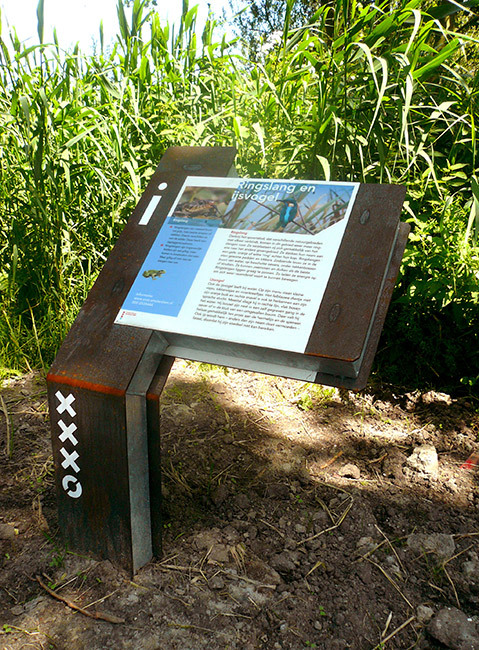 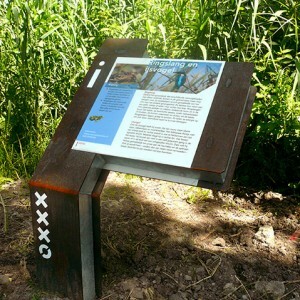 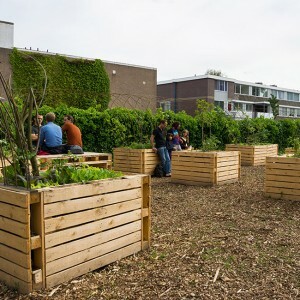 Foodscape Wildeman is an edible landscape planted in Amsterdam New West, situated between the old agricultural zone of Old Osdorp, and the mature urban parks surrounding the Sloterplas. 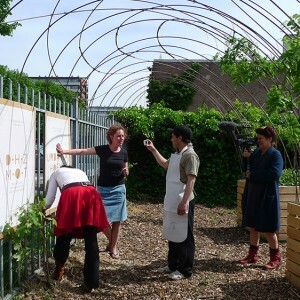 Within the monocultural greenspaces of the garden city Foodscape Wildeman comprises 3+ sites with total area of 1 ha. 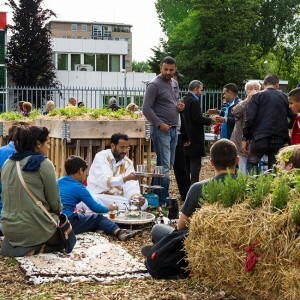 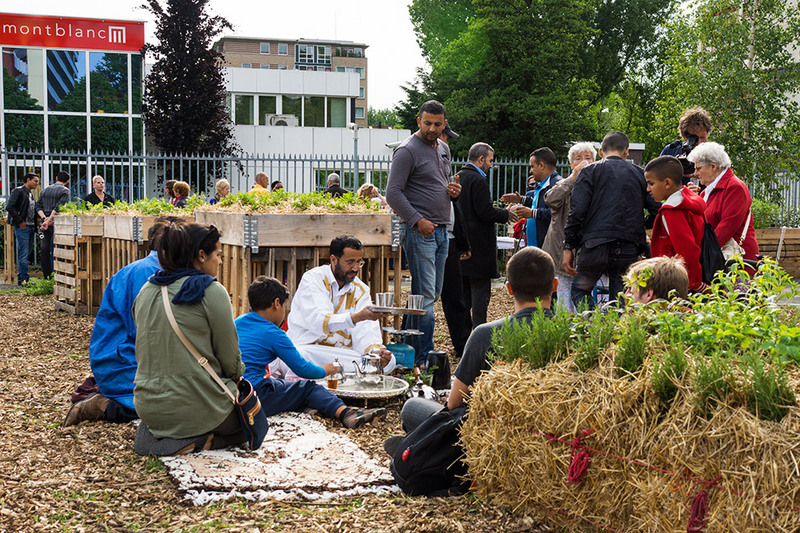 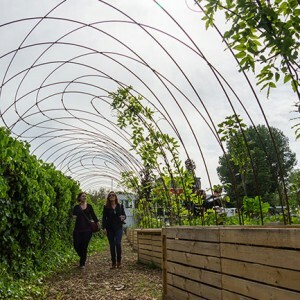 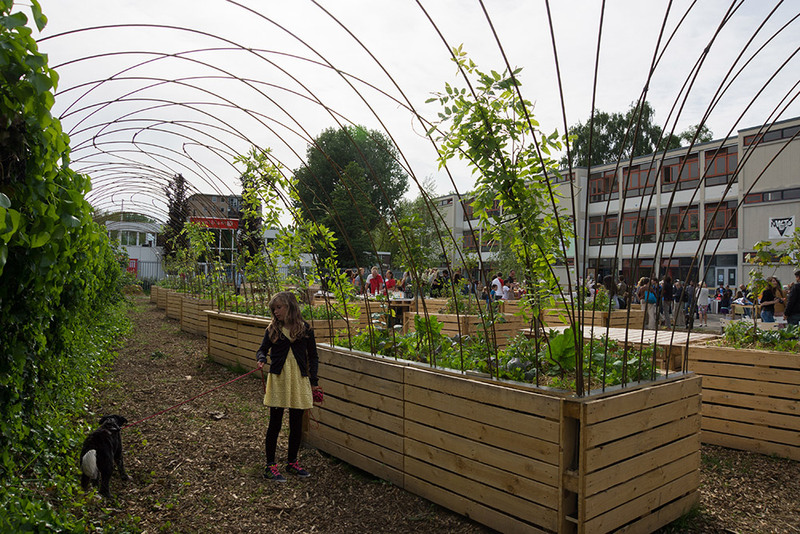 Urbaniahoeve / Social Design Lab for Urban Agriculture perceives these spaces as a foundation of an edible ecological framework that is resplendent, enhances social cohesion and that generates conviviality. 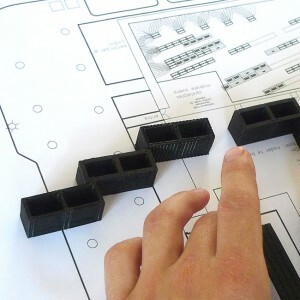 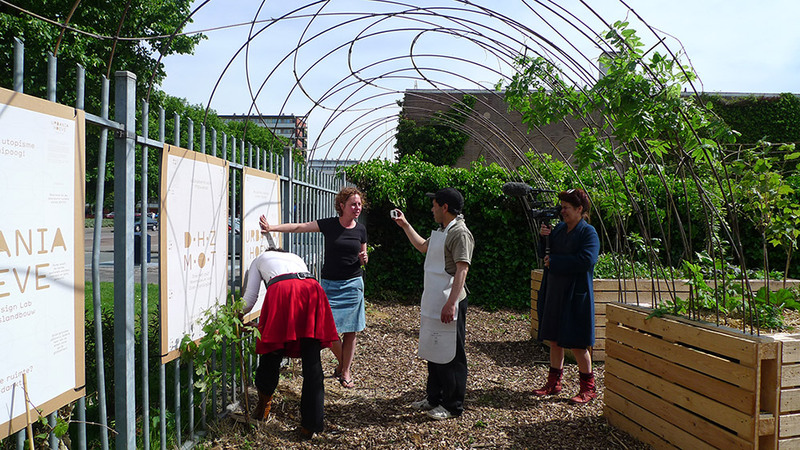 To enable effective co-design Carve provided a playful toolkit to enable project participants to experiment with a variety of spatial possibilities. 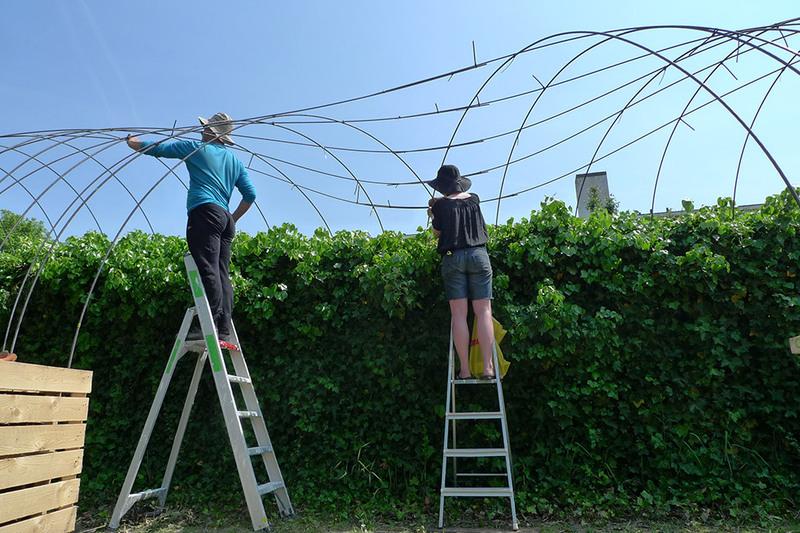 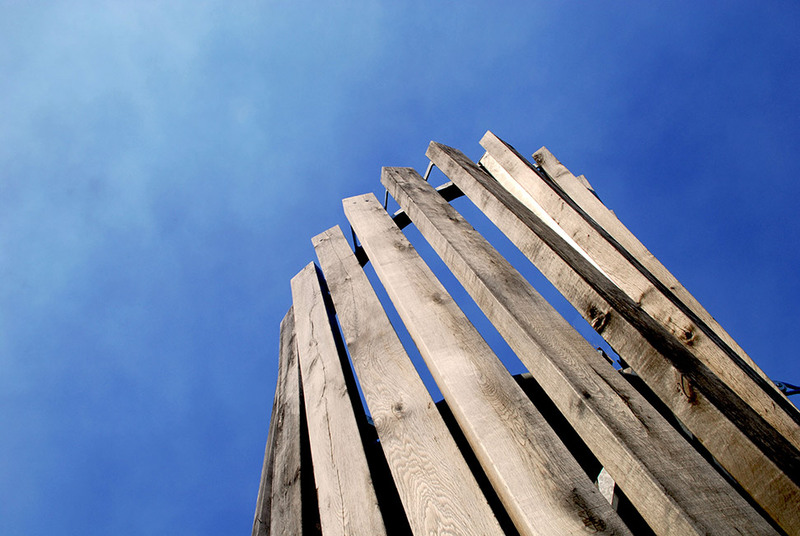 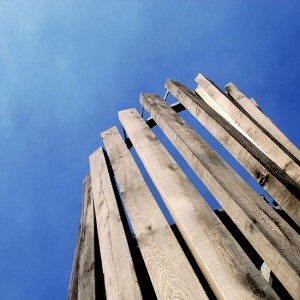 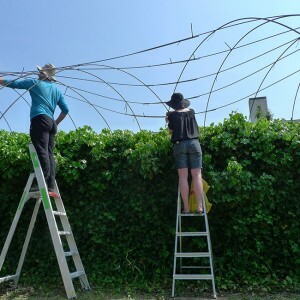 Carve took into account the hands-on nature of the project: the planters were designed to be easily produced by the small handy-man enterprises that are part of the Lucas Community – and thanks to the kit design, the trellis was easily assembled by non-professionals. 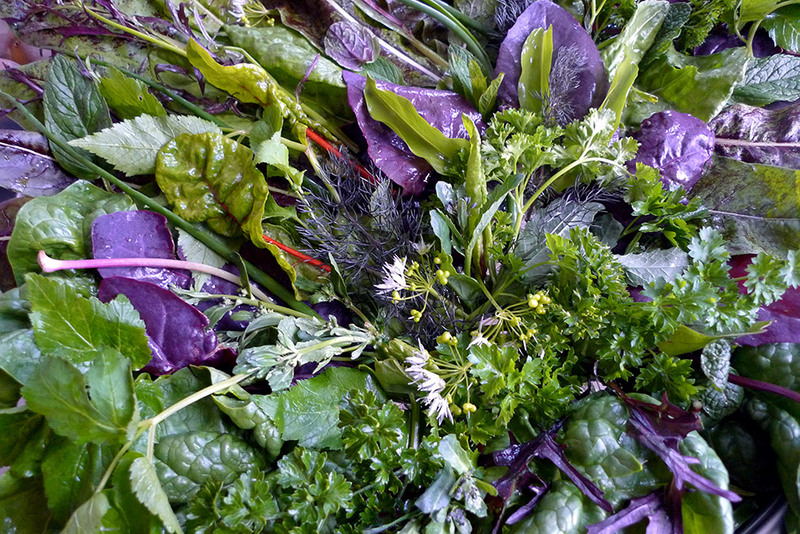 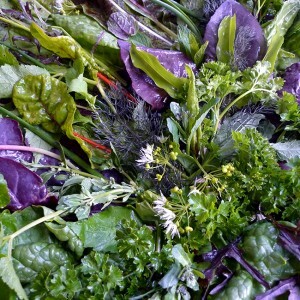 In Buurttuin Lucas continual harvest can be gathered for at least 6 months per year. 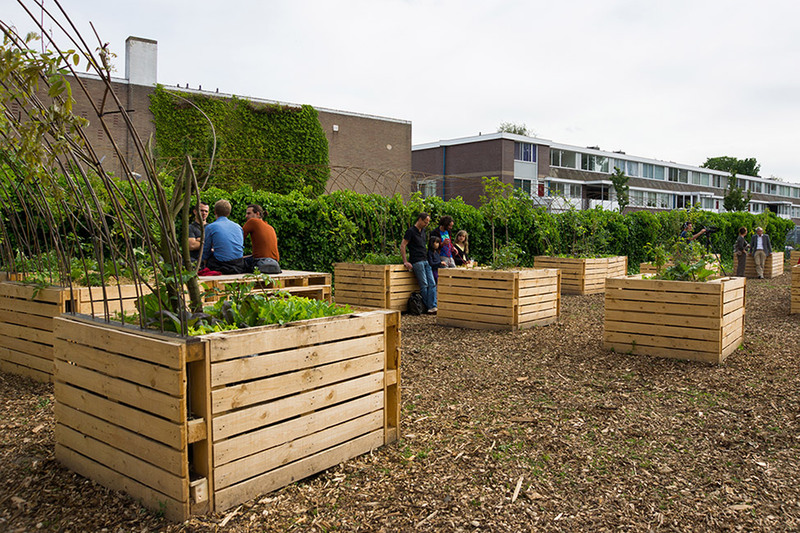 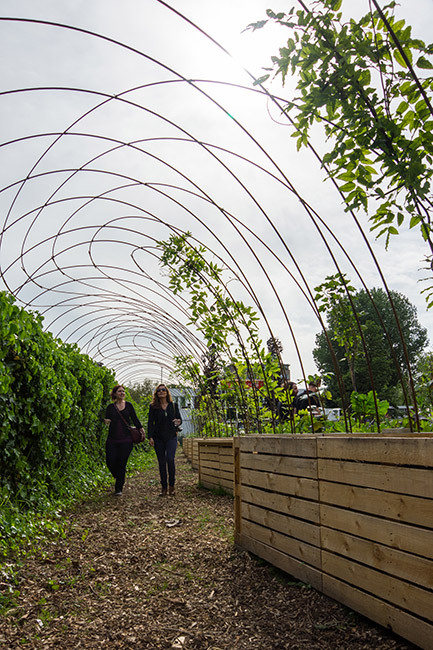 Foodscape Wildeman is a project by URBANIAHOEVE / Social Design Lab for Urban Agriculture, in co-operation with the Beach, the Lucas Community and Amsterdams Steunpunt Wonen. 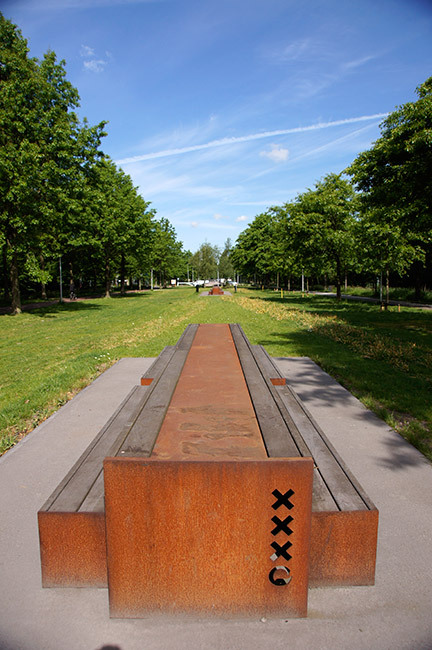 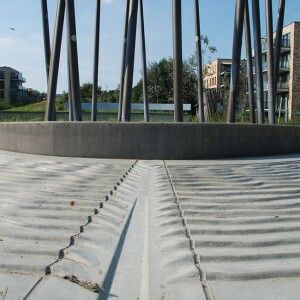 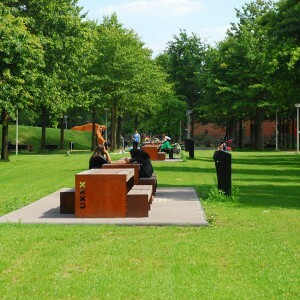 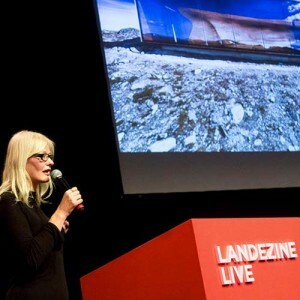 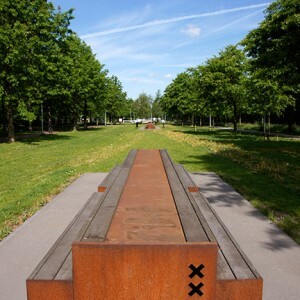 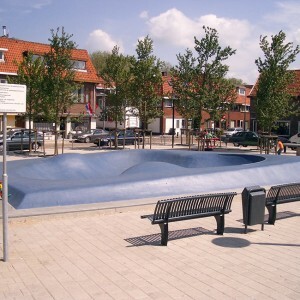 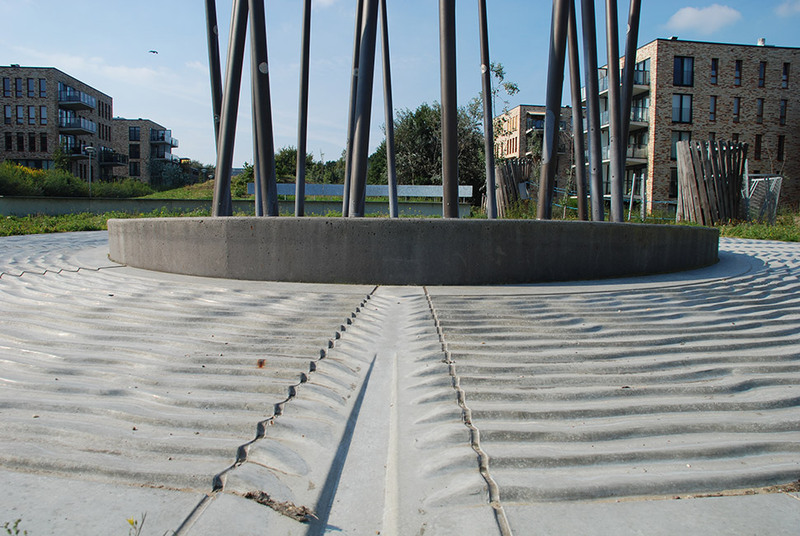 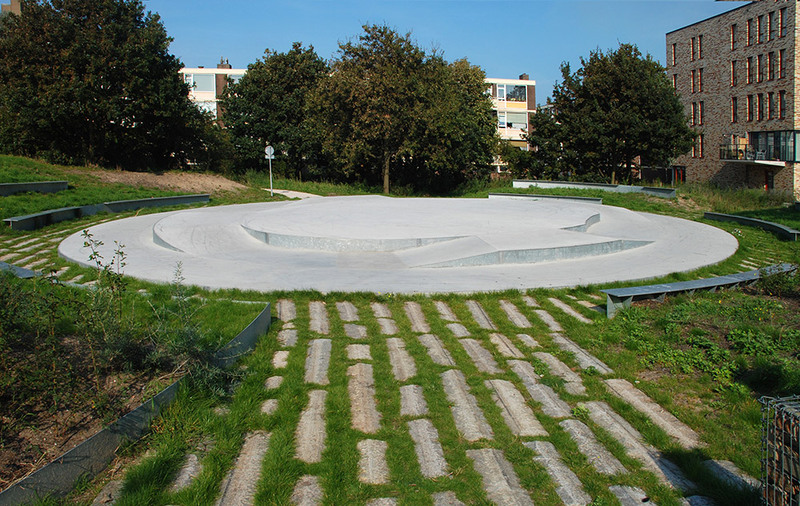 In 2009, Carve won the competition for redesigning the Goeverneurplein in Dordrecht. 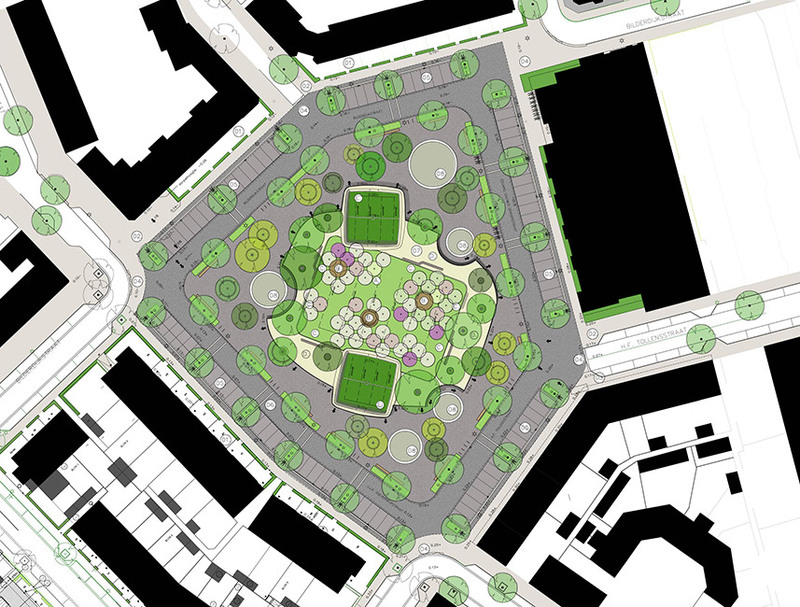 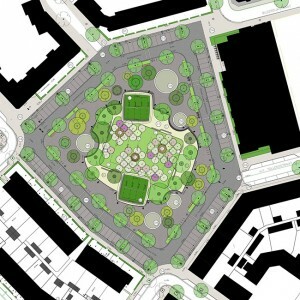 The square is the heart of the urban renewal area, and the physical interventions are combined with a social program to improve the quality of life and security. 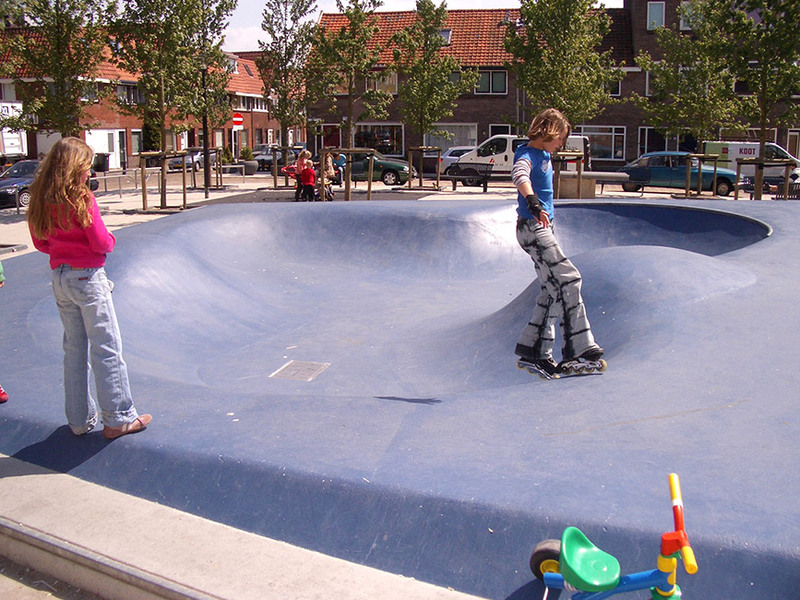 Carve redirected the traffic around the square to significantly decrease it, making it a safe area to play. 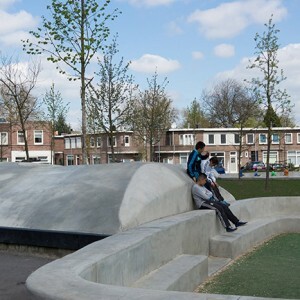 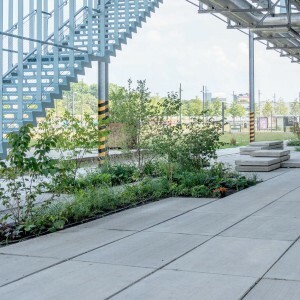 An over-dimensional concrete edge embraces two soccer areas and a fruit orchard with old indigenous species, which are maintained by the community. 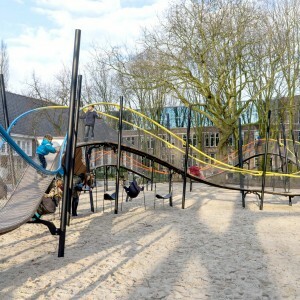 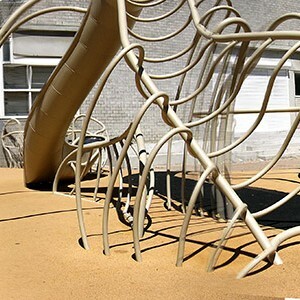 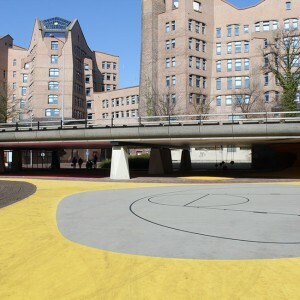 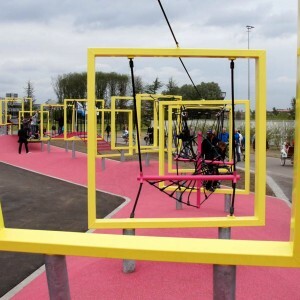 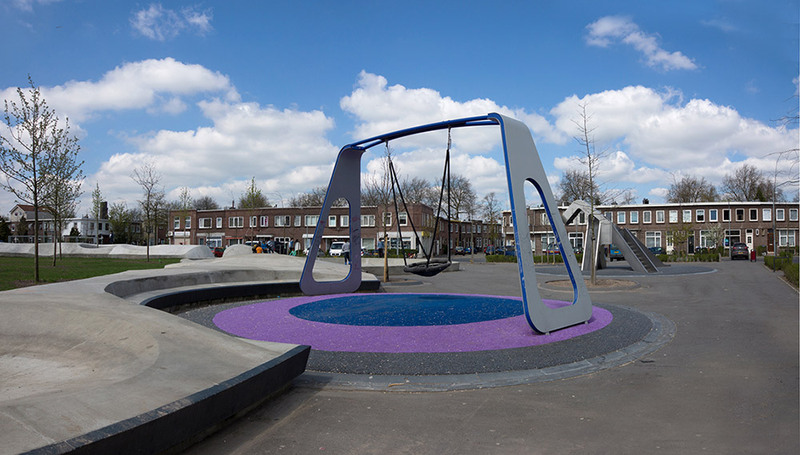 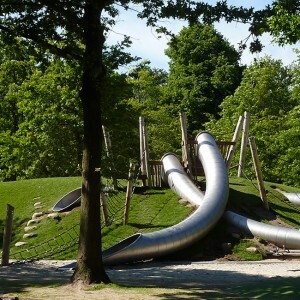 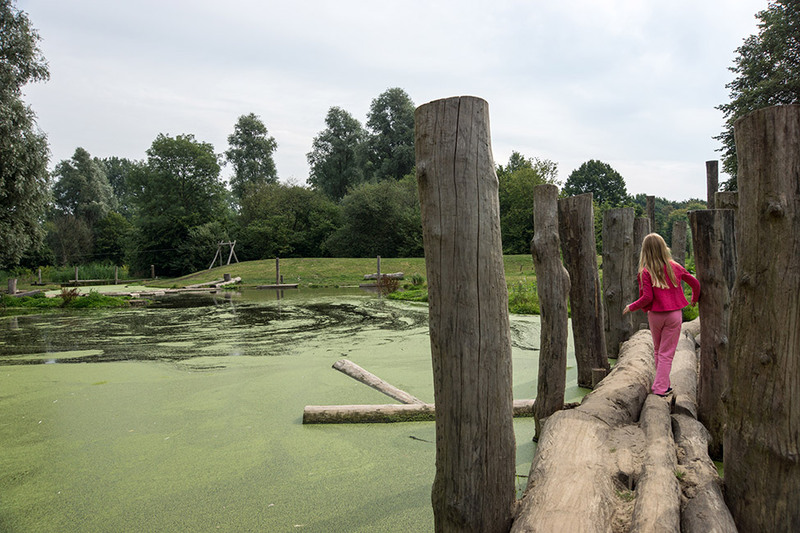 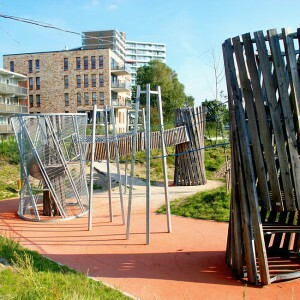 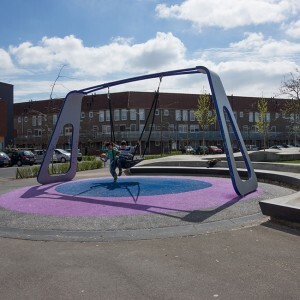 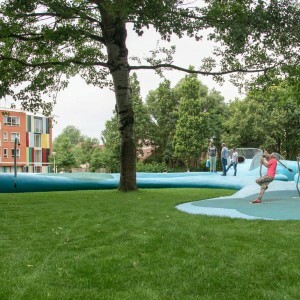 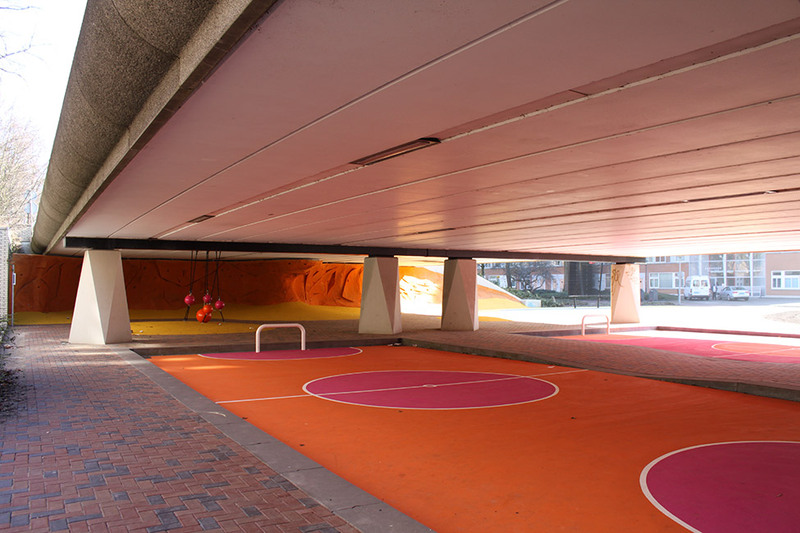 The play areas are designed as ‘satellites’, for which Carve and the Centre for Visual Arts in Dordrecht invited ten renowned international offices to propose a design. 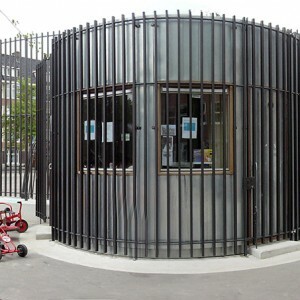 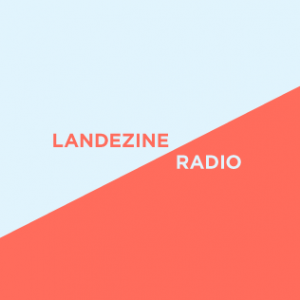 The offices were J. Mayer H. (Berlin), Ecosistema Urbano (Madrid), Office for Subversive Architecture (London-Berlin), Raumlabor (Berlin), Fantastic Norway (Oslo), Mésarchitecture (Paris), Onix (Groningen) and Chapuisat Brothers (Founex). 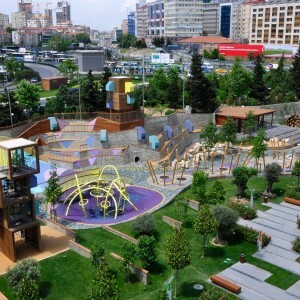 The designs of J. Mayer H., Ecosistema Urbano and OSA were chosen for realisation. 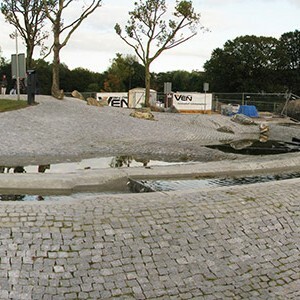 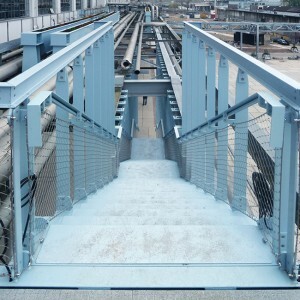 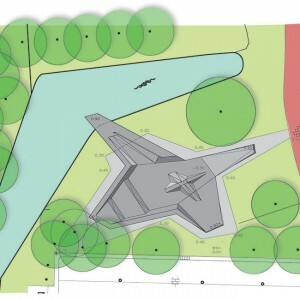 Due to budget cuts the projects by Onix and Raumlabor, which were selected for realisation too, have not been built. 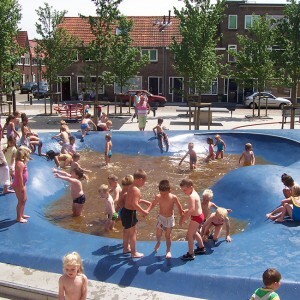 In Amstelveen the amount of youngsters is explosively growing. 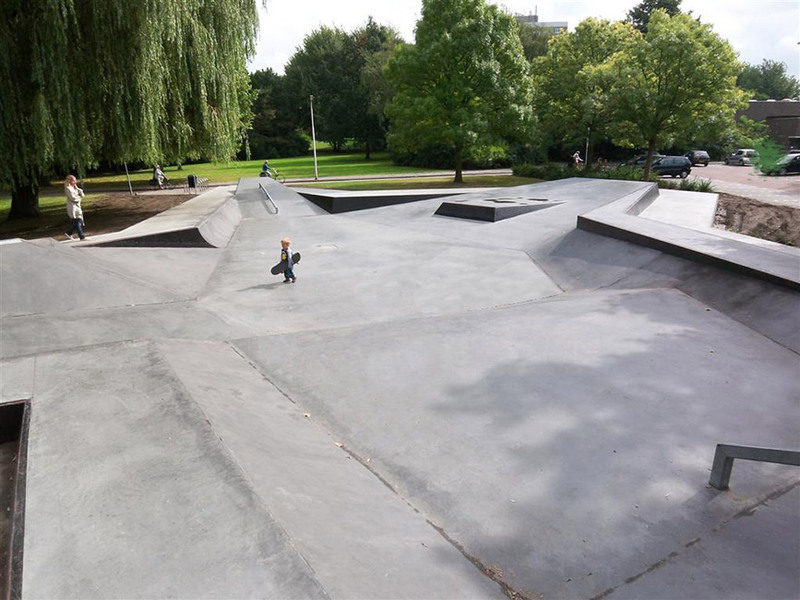 To provide something for their needs, the city asked Carve to design a skate park especially for street skaters. 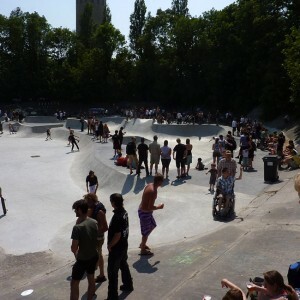 The skatepark is located next to a viaduct which is part of the main infrastructural axis. 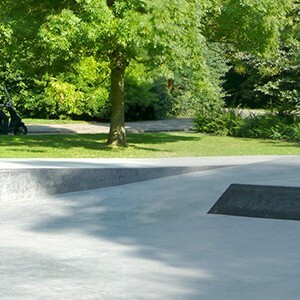 Bankras was created in close cooperation with the skaters, Stan Postmus of the Skatebord Federatie Nederland, the Cardanus foundation and the local government of Amstelveen. 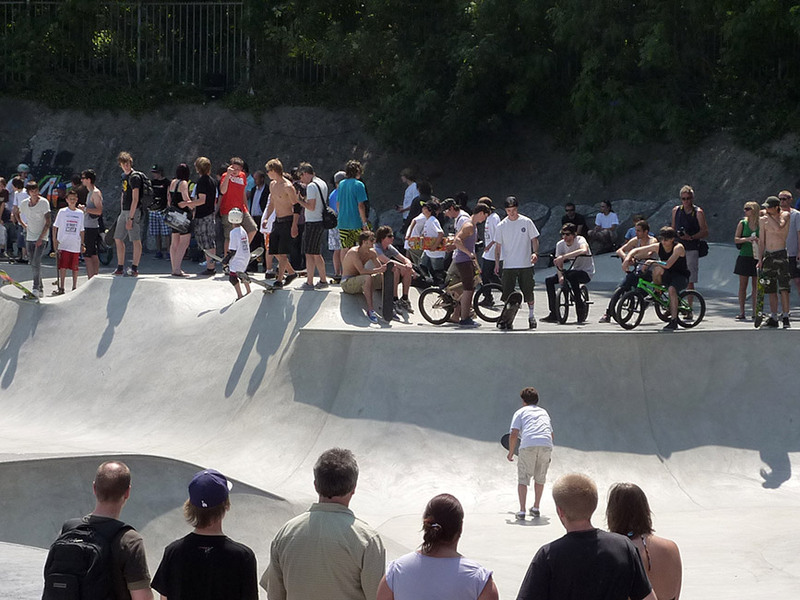 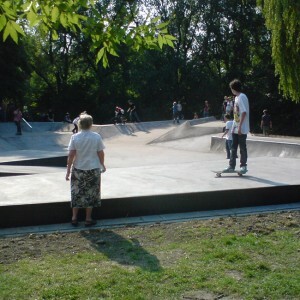 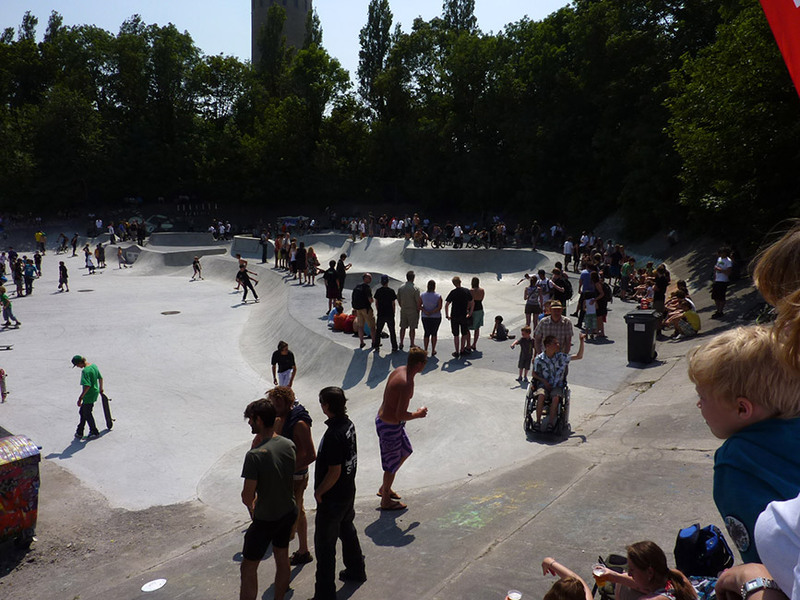 The skatepark is characterized by a very angular design: its shape is the contra-form of a usual skatepark. 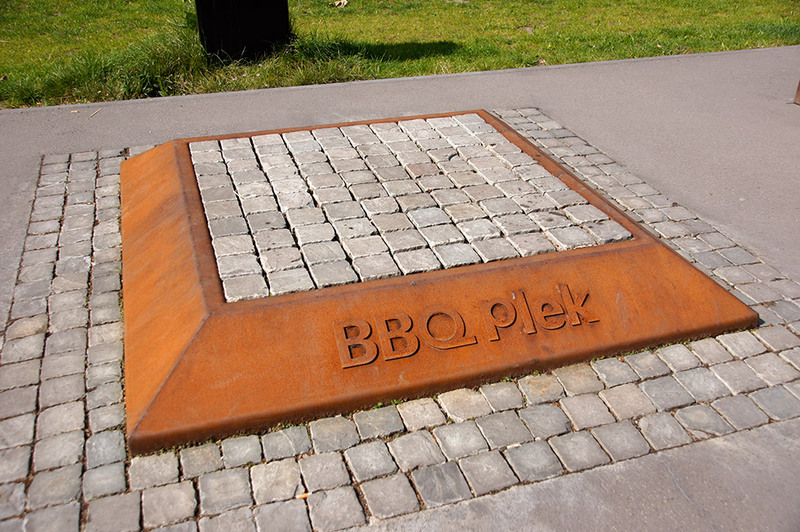 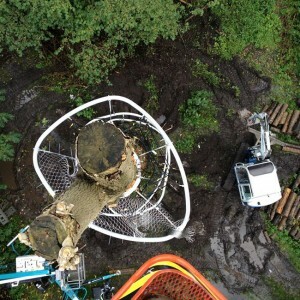 Instead of the obligatory elevation in the centre, here the middle part is sunken and the four edges are raised. 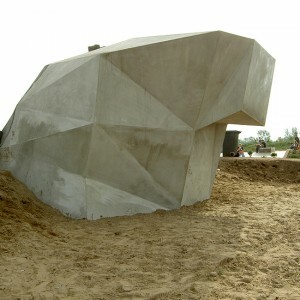 The star-shaped sculpture, with its sharp creases, obstacles and profiles, is made of dark concrete and fits seamlessly in its park-like surroundings. 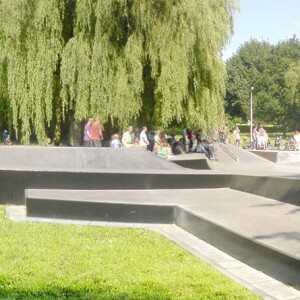 With the skatepark, this previously somewhat deserted spot has become the new hangout for a whole generation. 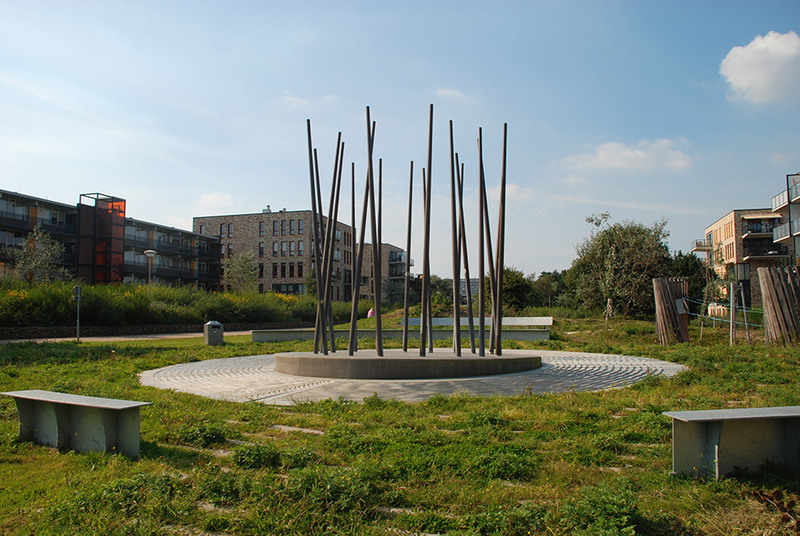 Dunepark is part of the Northsea dunes. 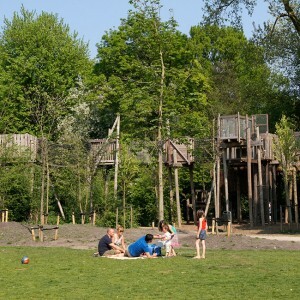 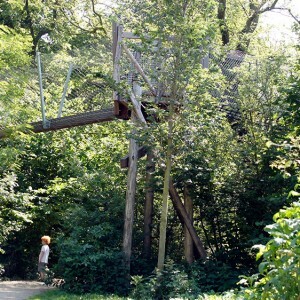 In 2005, parts of the park were sacrificed to build urban villas. 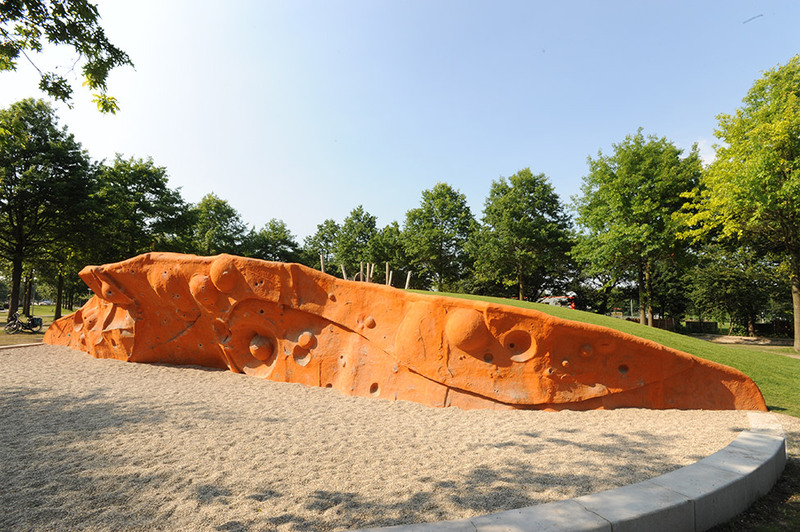 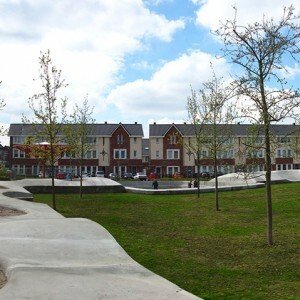 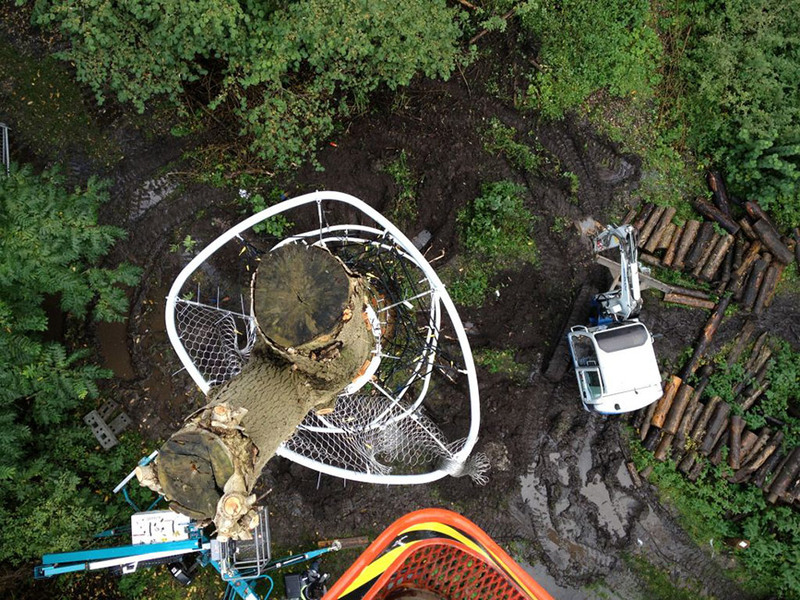 Due to damage done to the natural landscape by this development, and a long lasting lack of maintenance, the park was in need of a complete renovation. 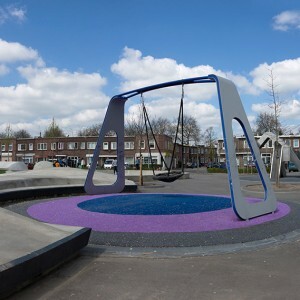 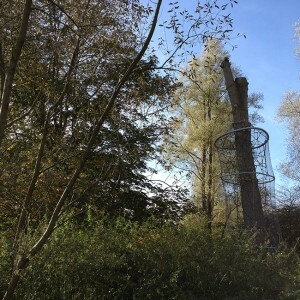 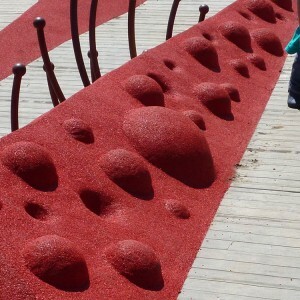 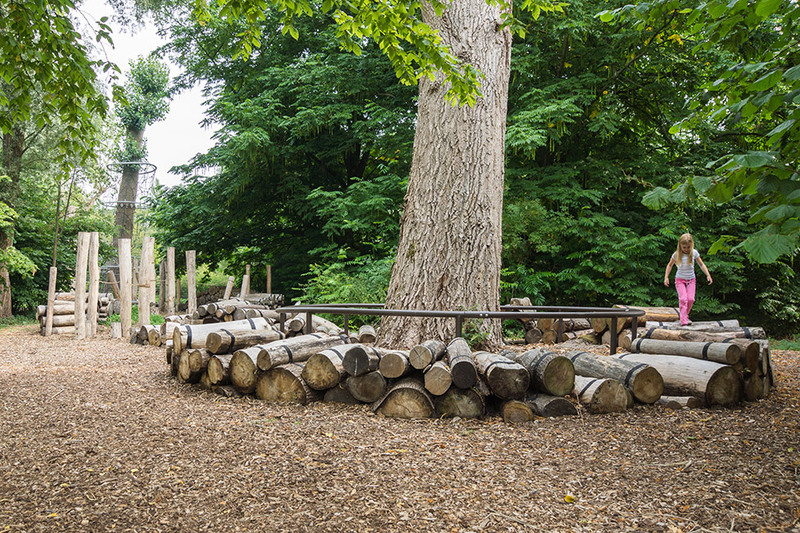 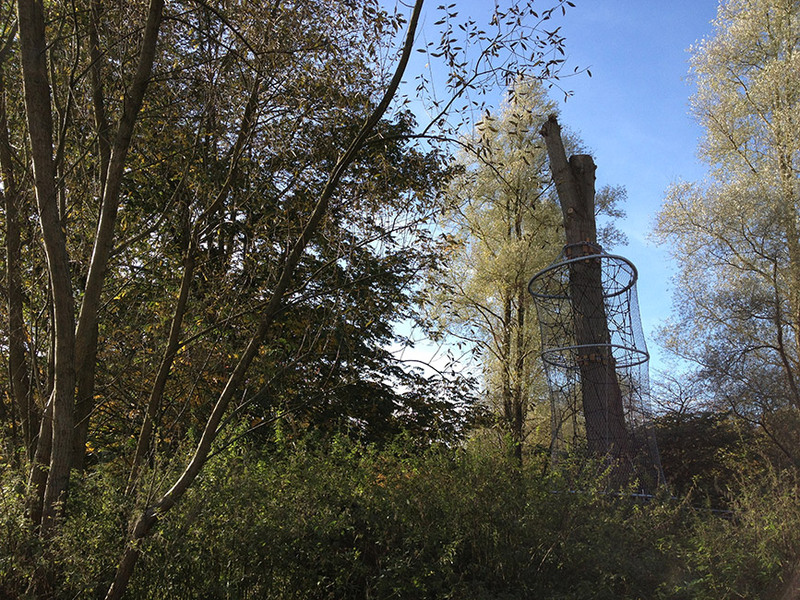 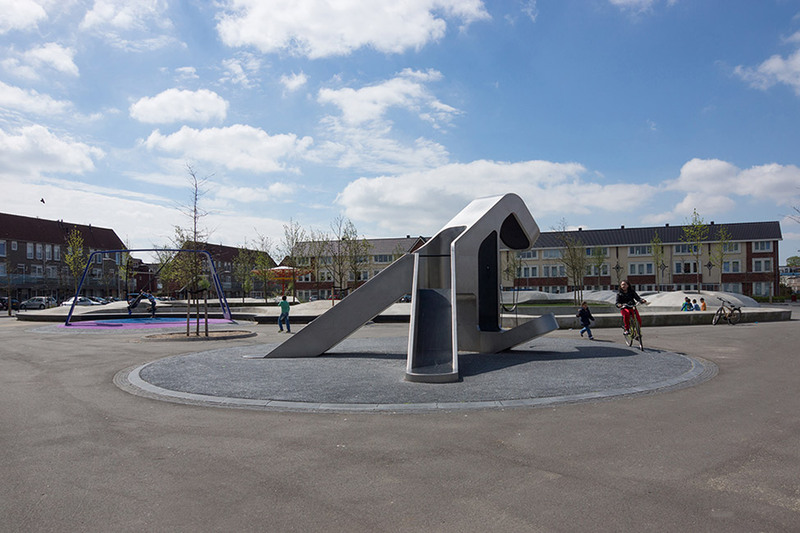 Carve was asked to create three play areas, to attract a wide age range and offering a sculptural contribution to the park. 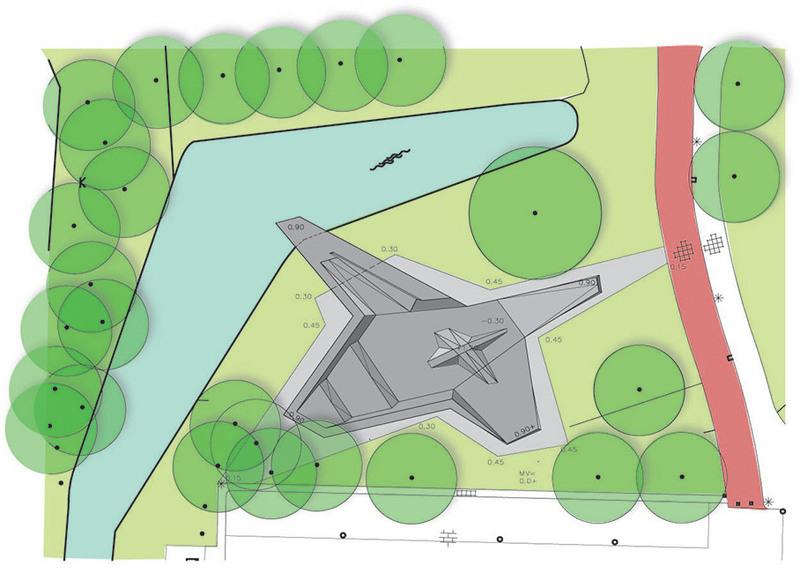 Our proposal consisted of three interventions. 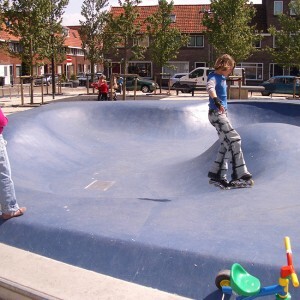 At first, we introduced a skate-stage. 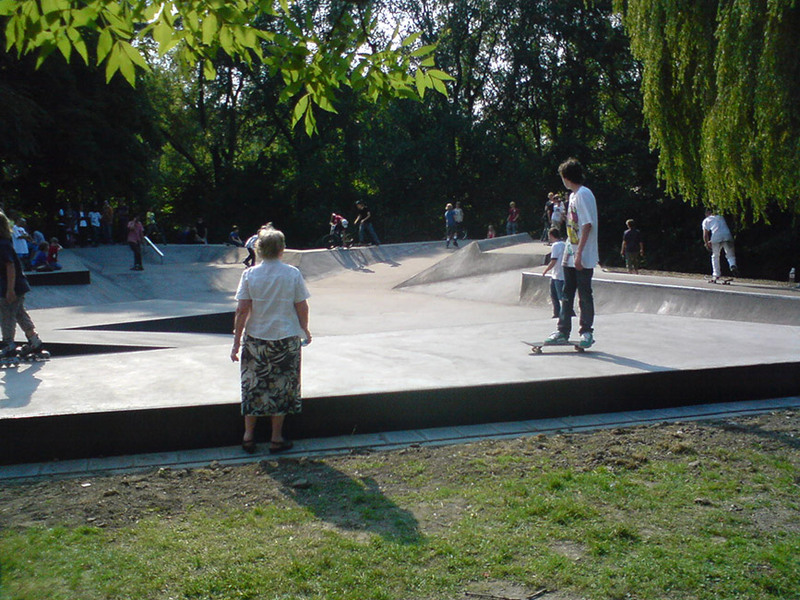 As meeting-place for the neighbourhood’s youth, the oval and raised stage is also a small skate park. 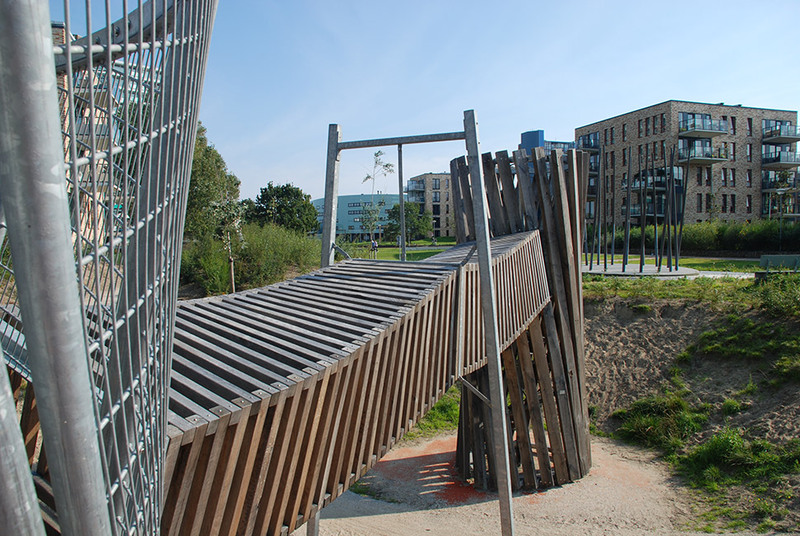 Secondly we designed three ‘Dune-towers’ which are interconnected with bridges, and clad with diagonal beams of inland oak, a typical tree for the Dutch Dunes. 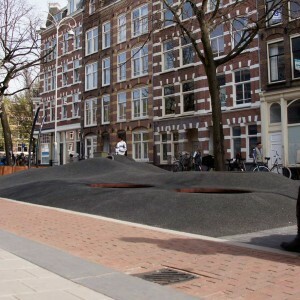 They are lowered into the surface, which visually reduces their immense size. 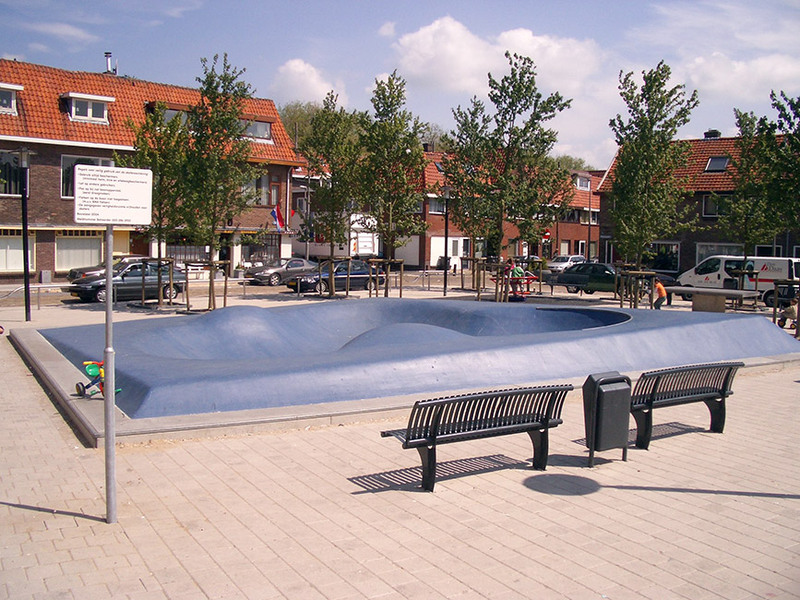 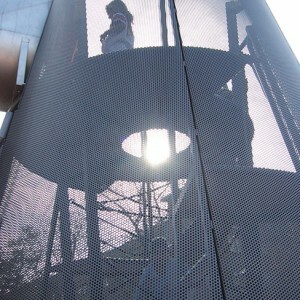 The third spot is a sculptural waterplay element. 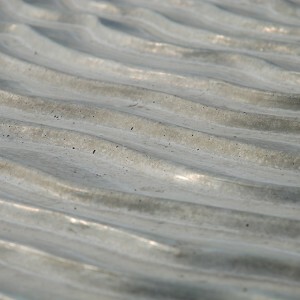 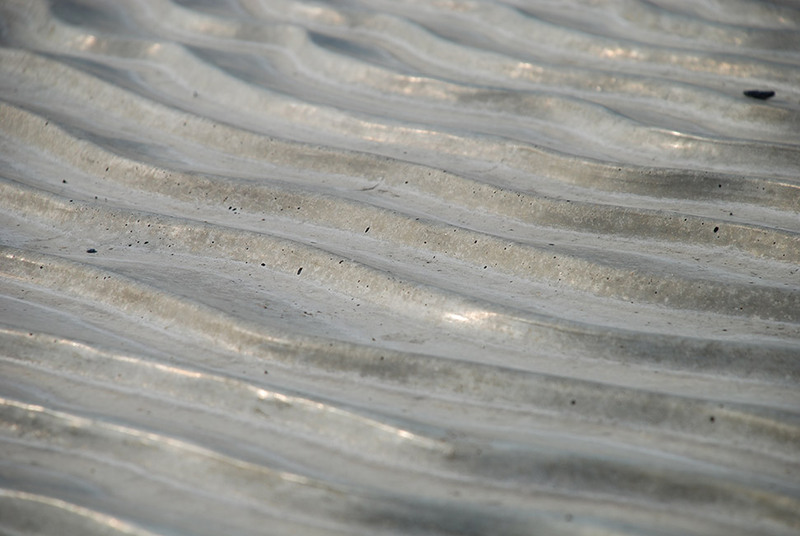 An inclined concrete pedestal is engraved with a circular equivalent of sand ripples as found on the beach, shaped by the wind. 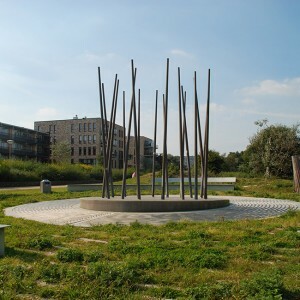 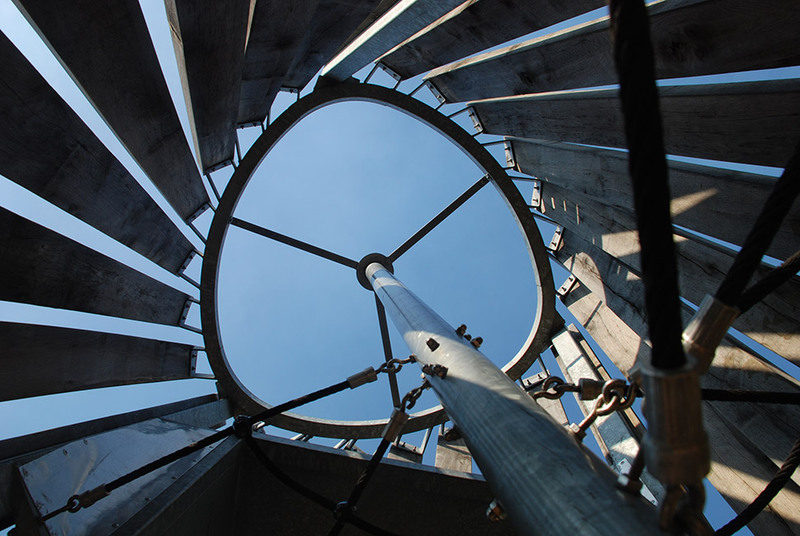 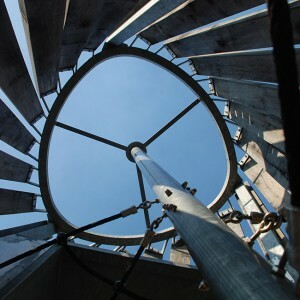 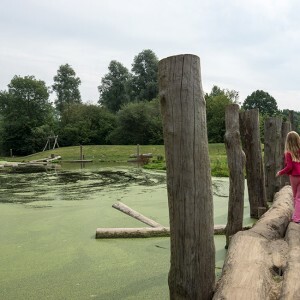 Almost twenty steel poles create suprising water effects.